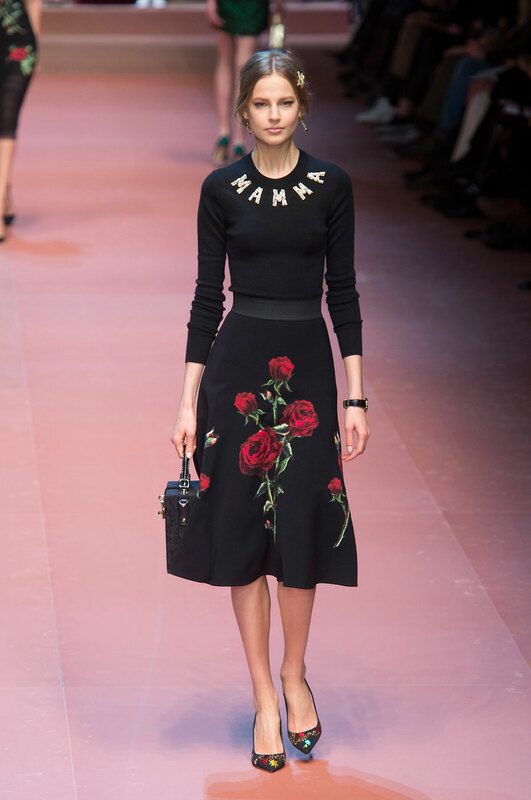 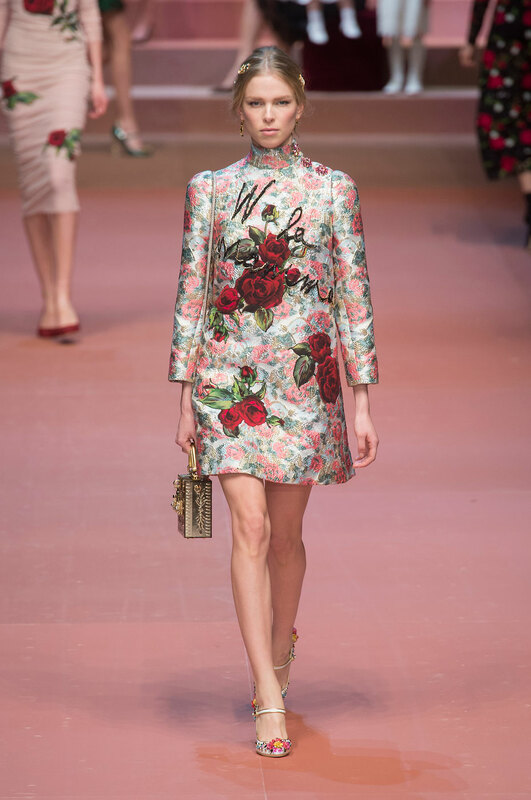 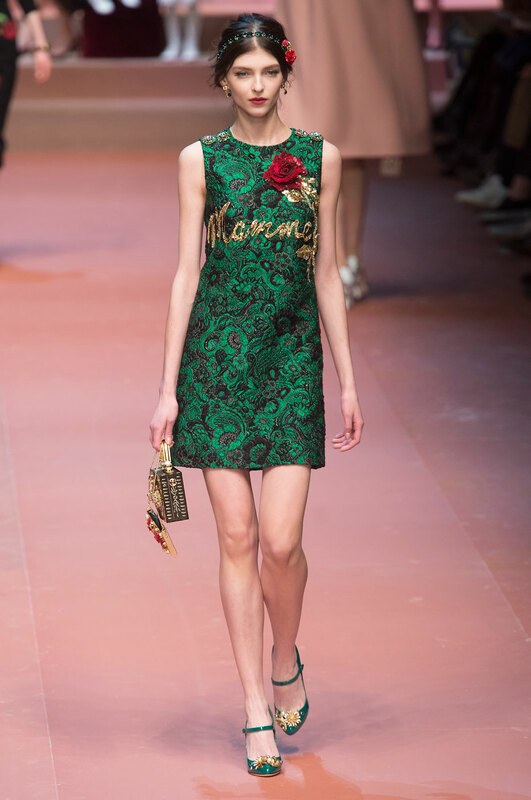 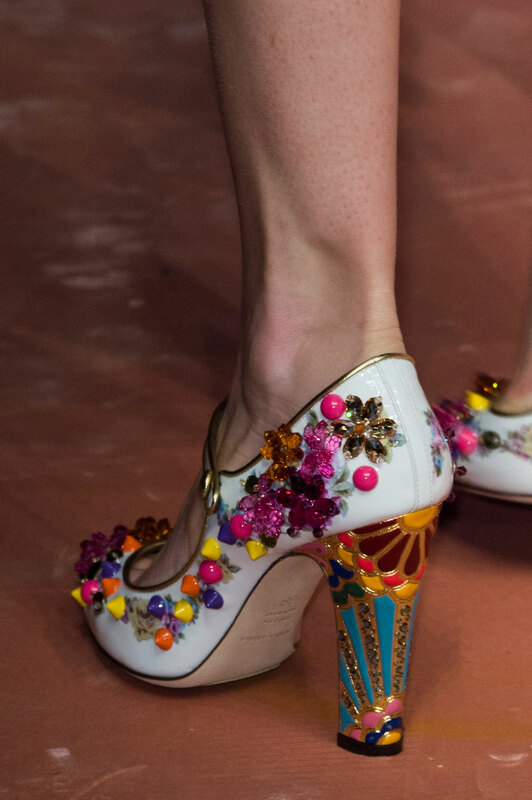 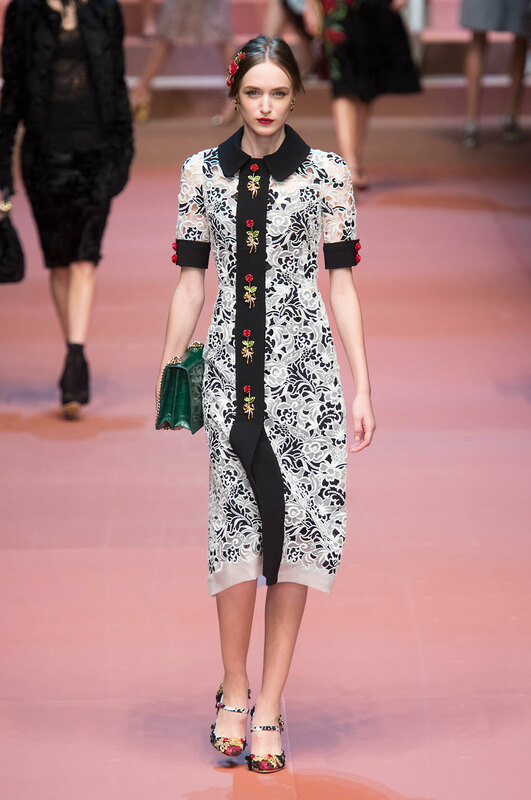 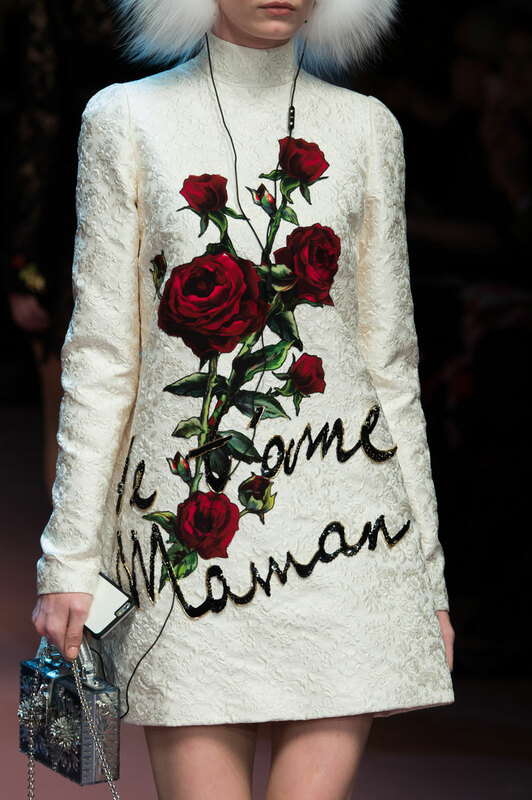 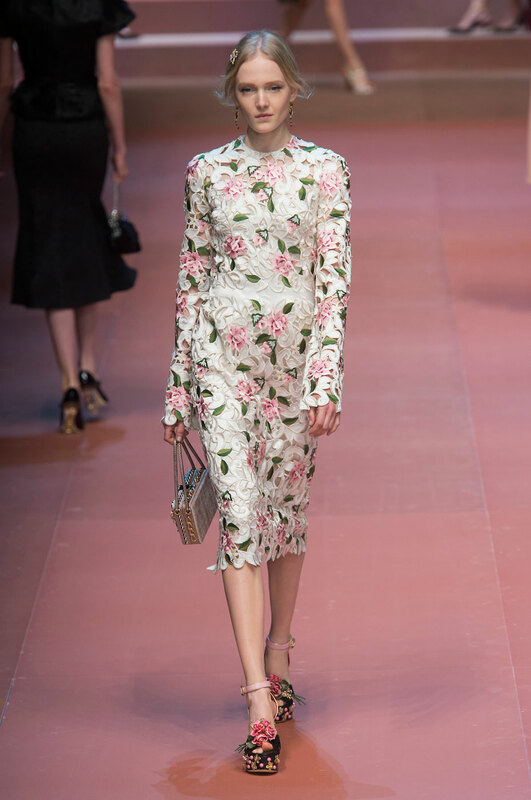 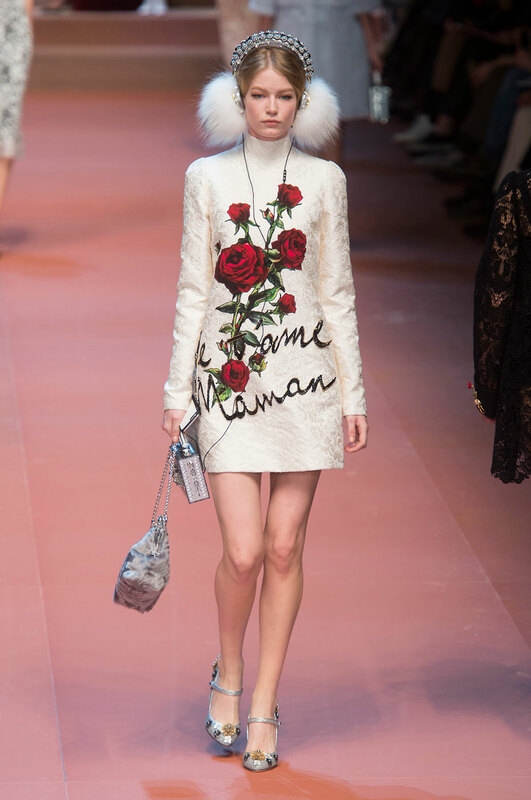 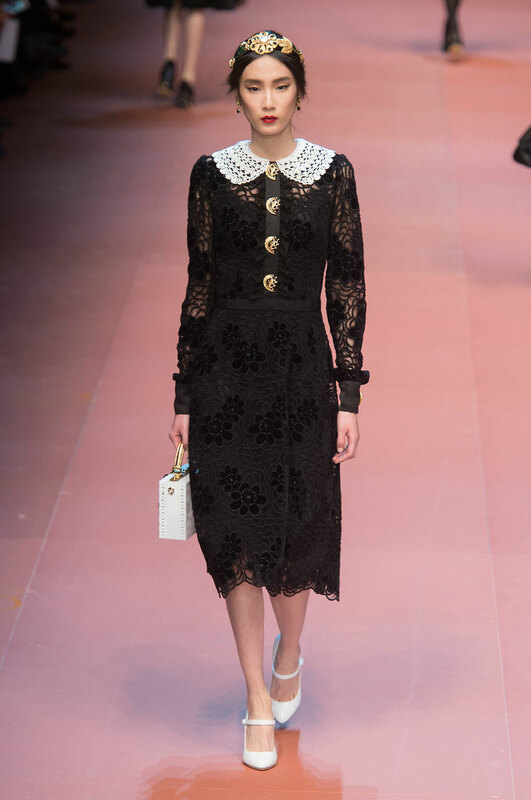 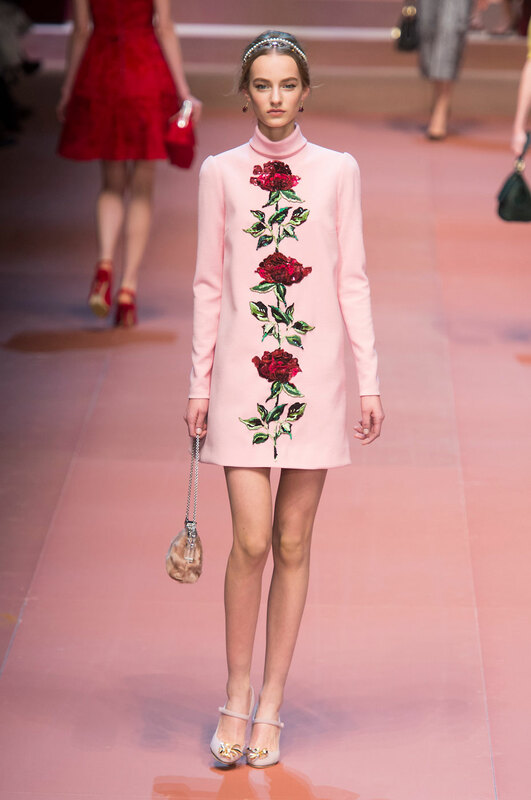 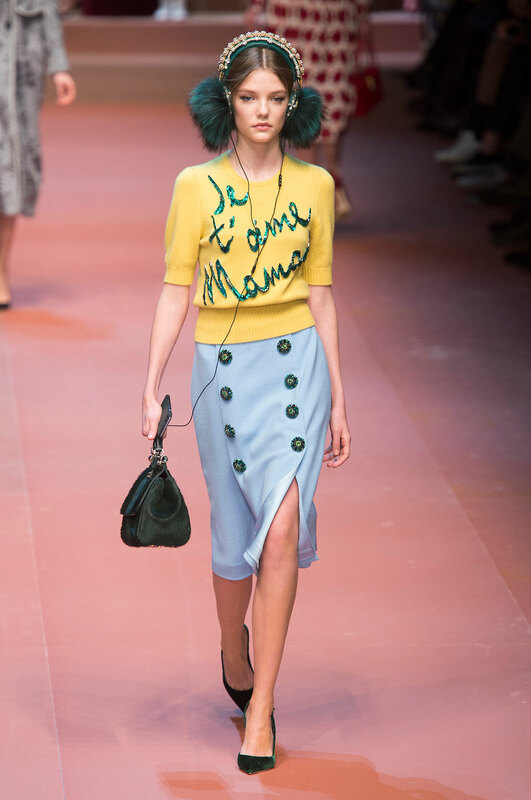 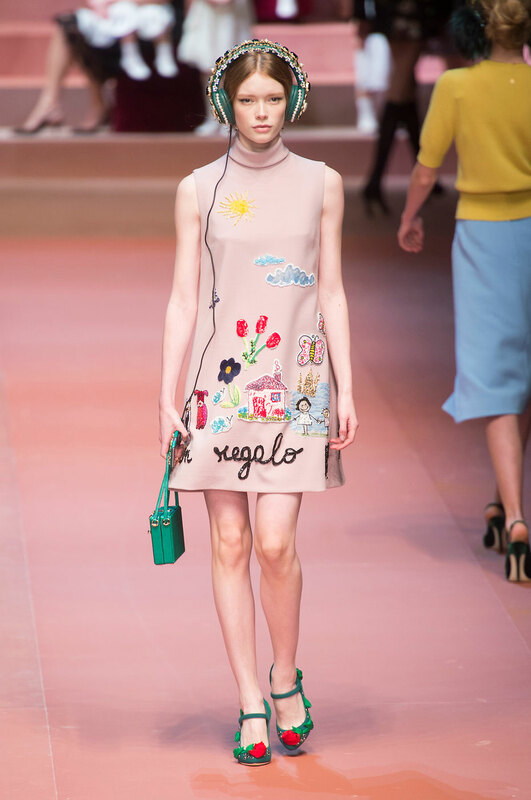 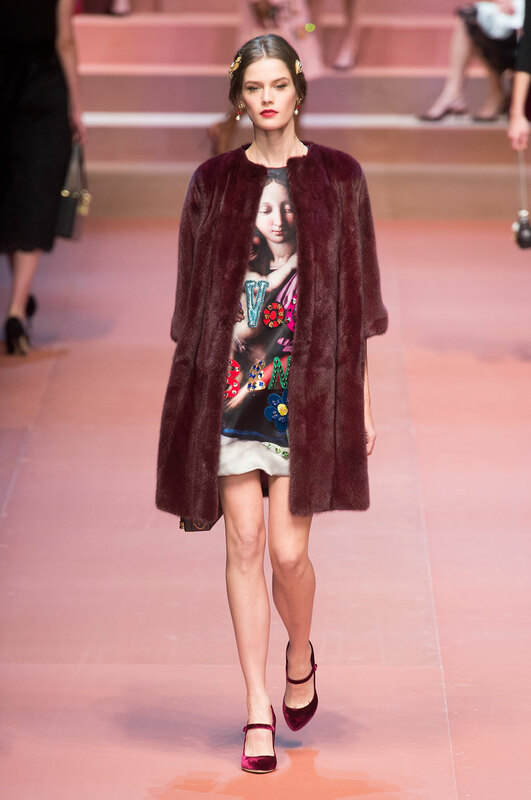 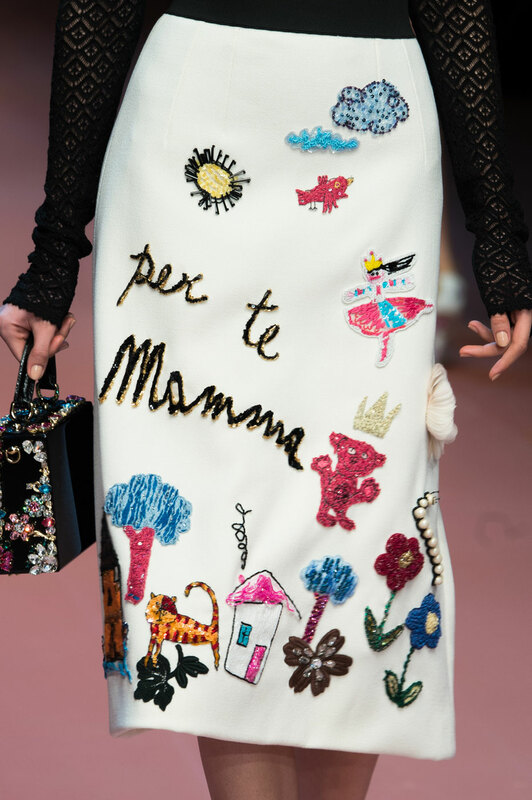 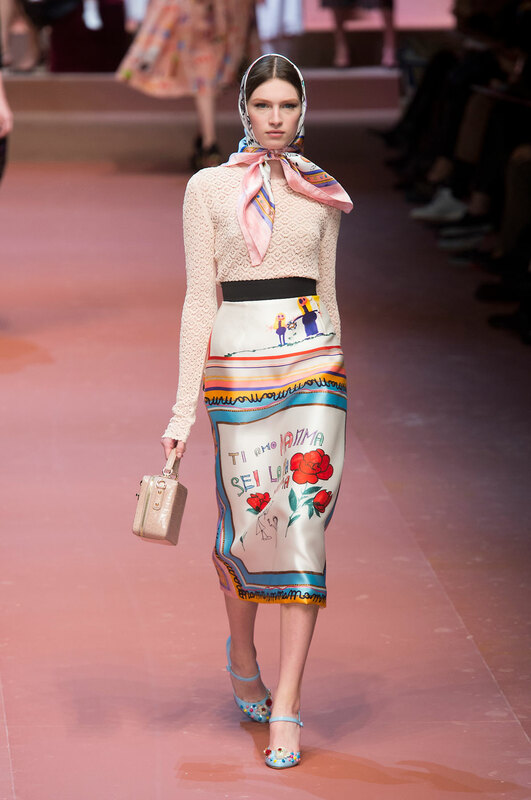 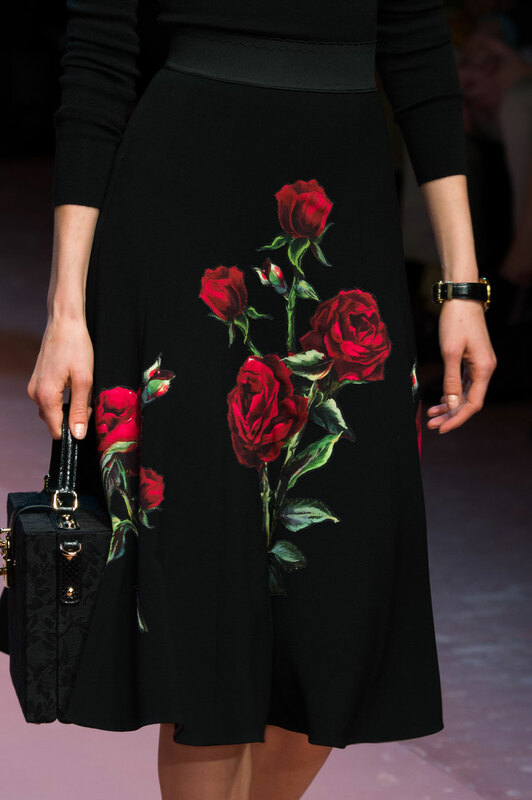 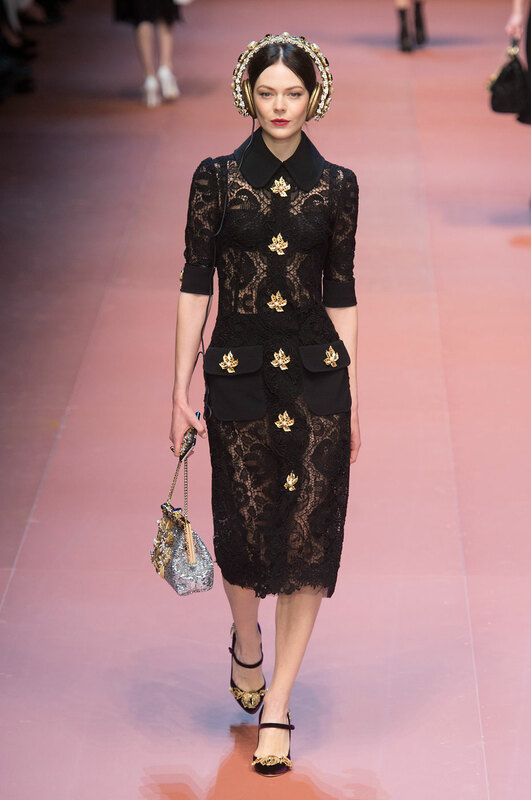 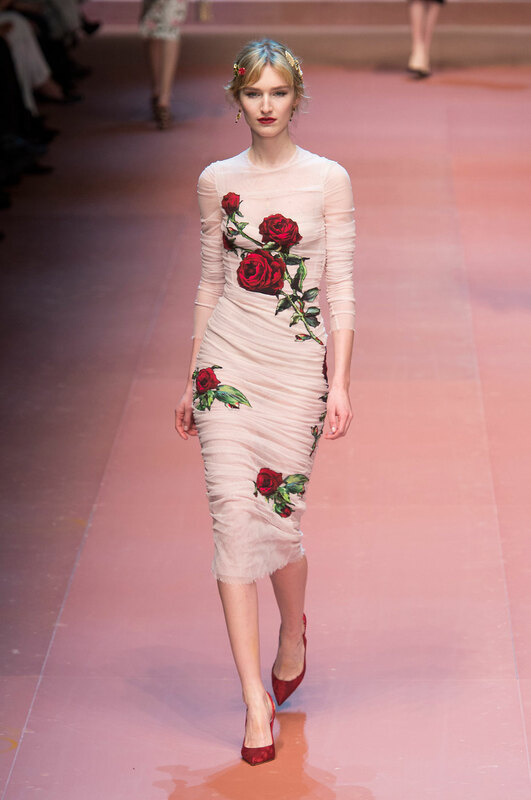 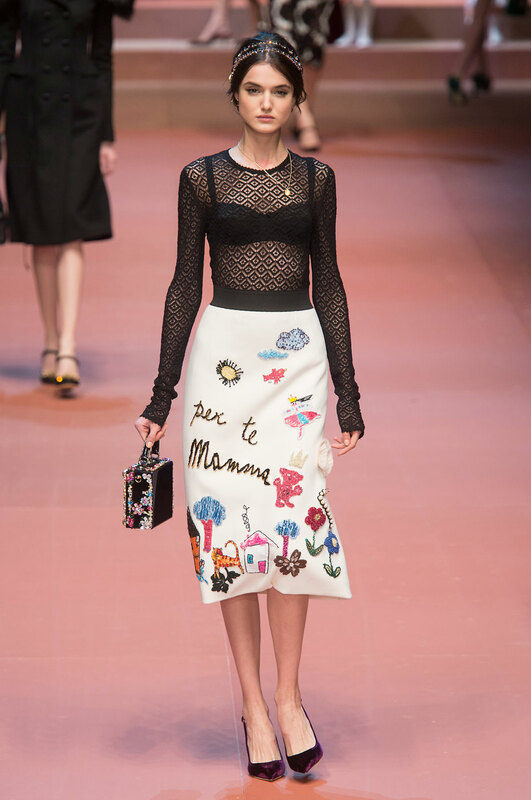 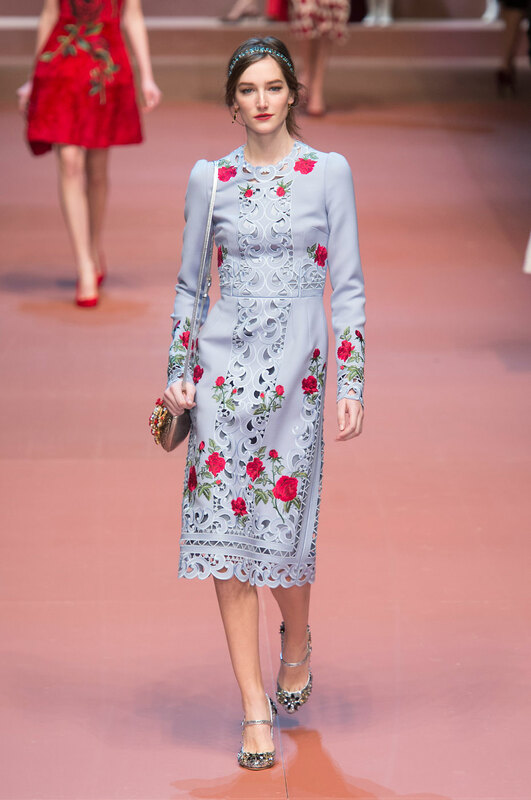 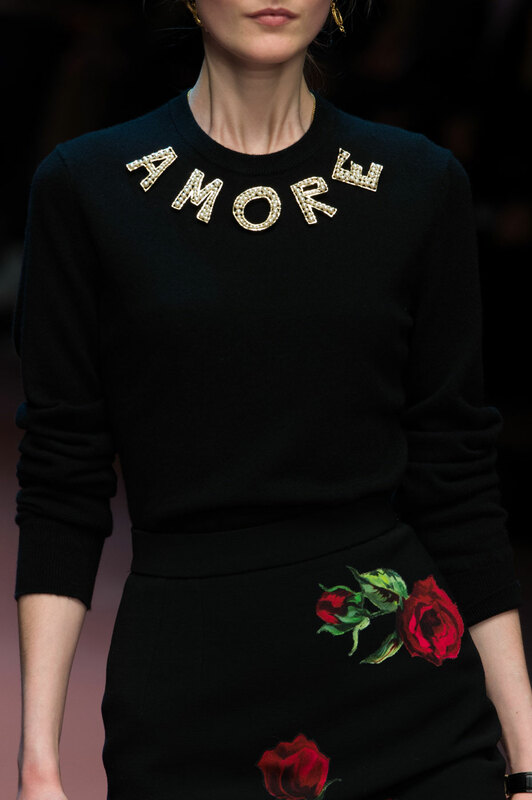 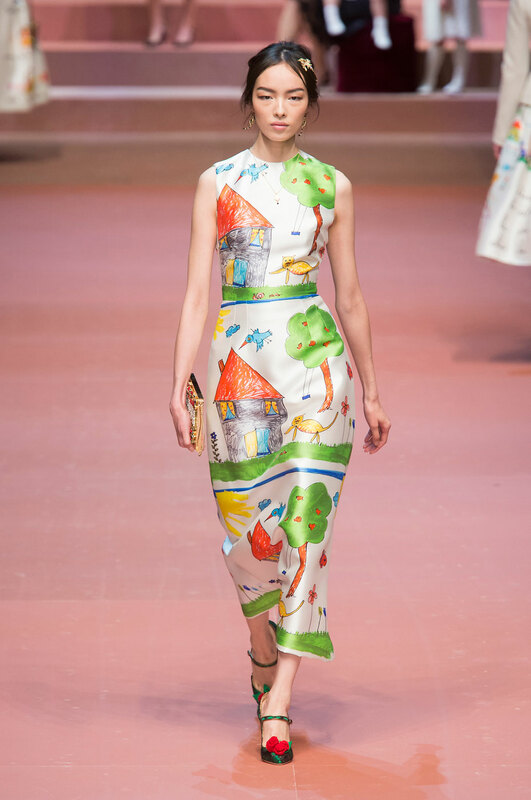 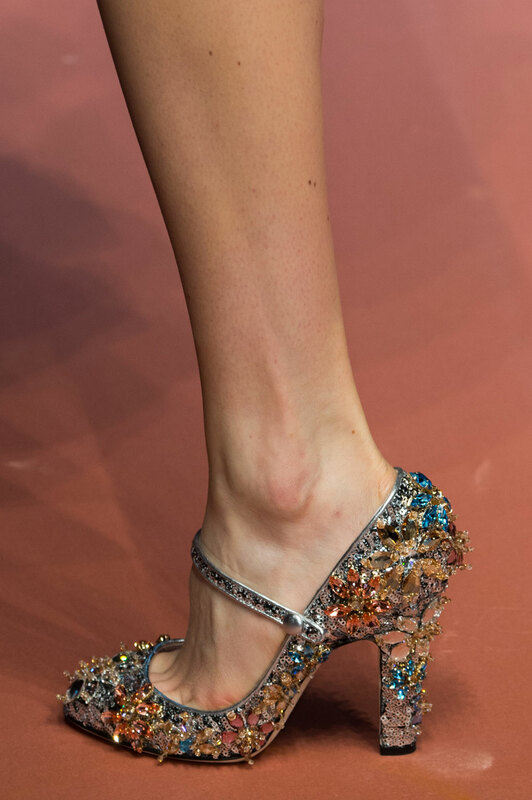 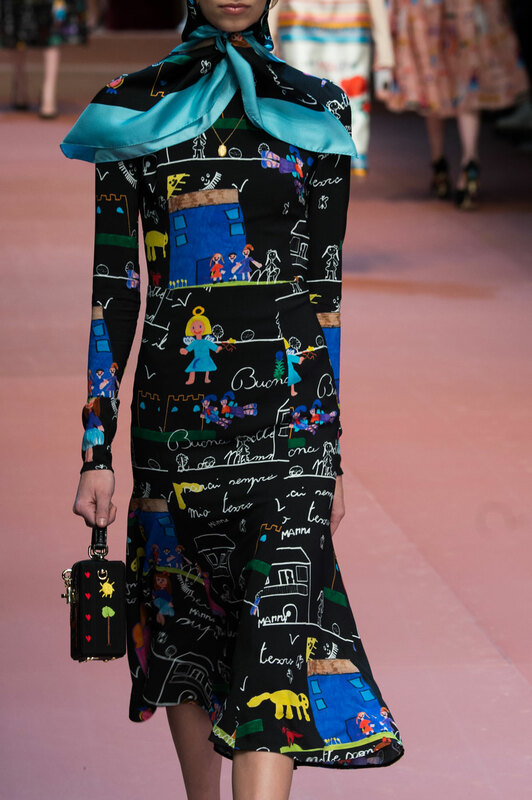 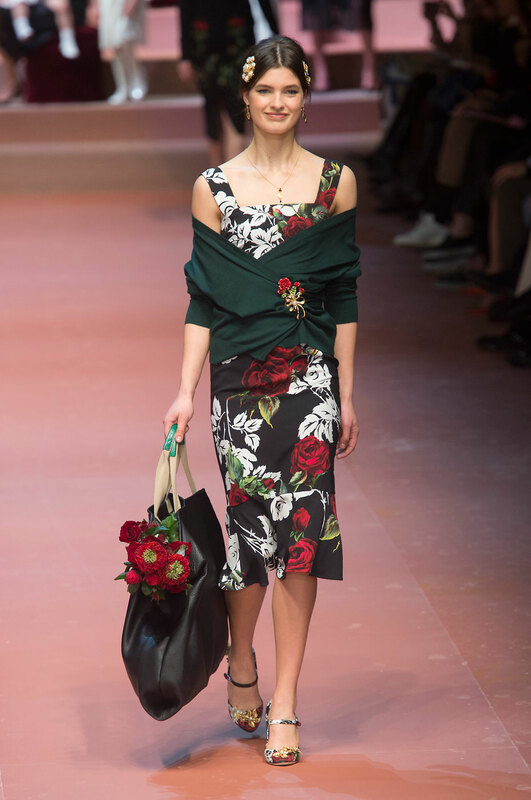 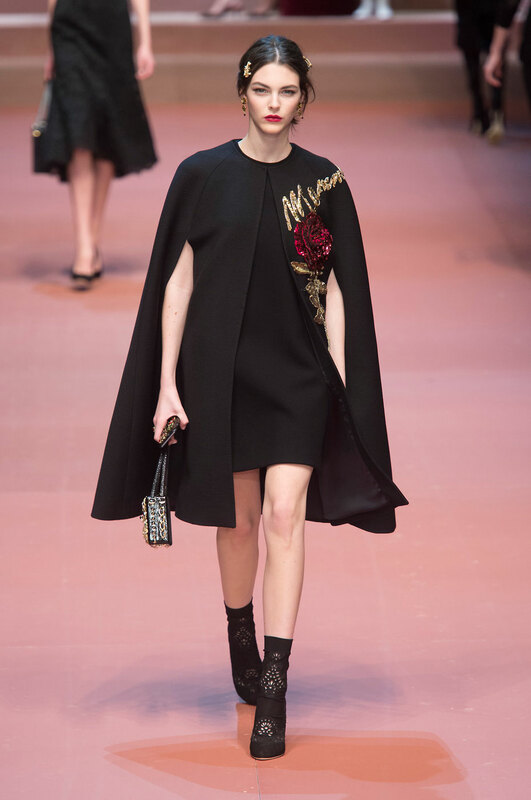 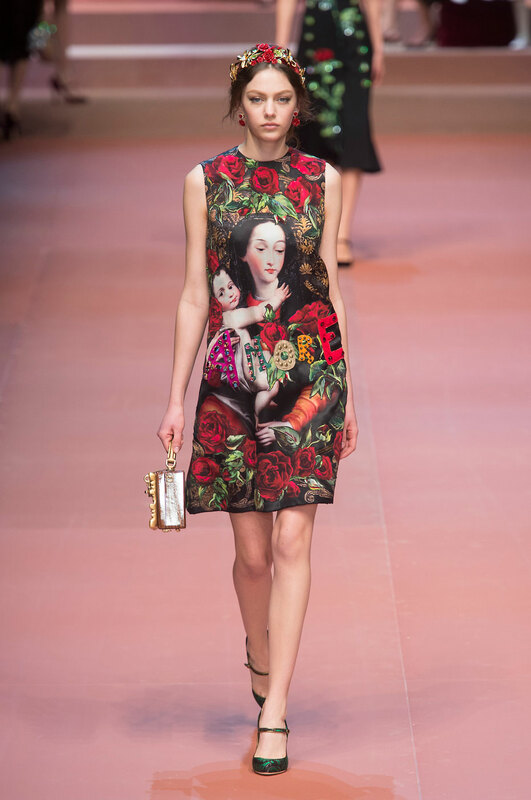 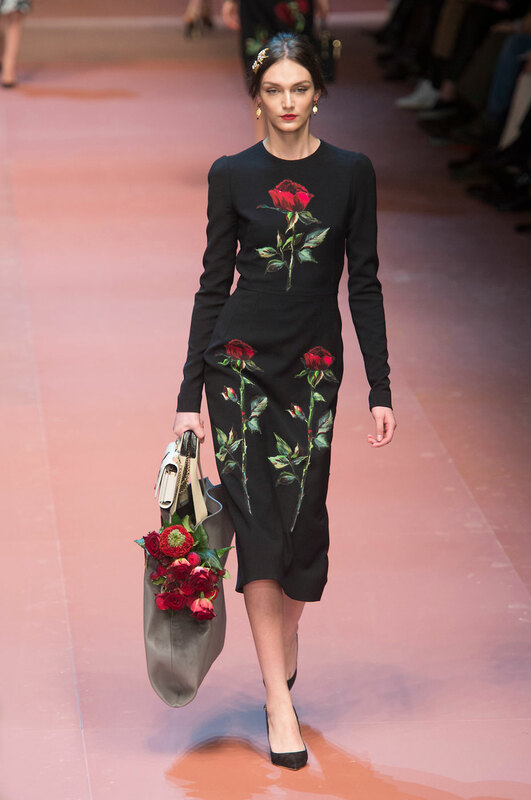 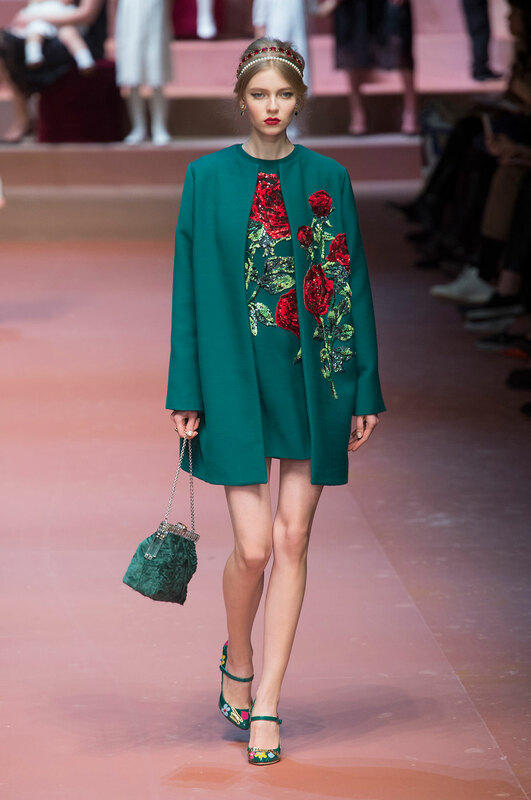 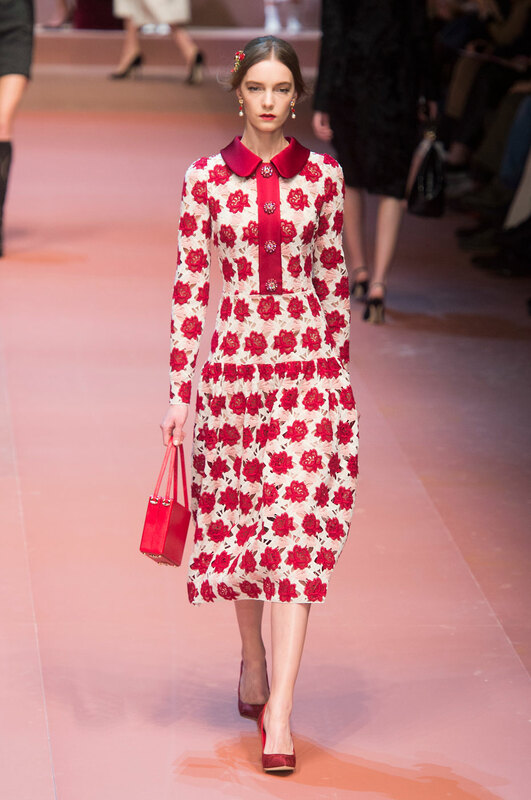 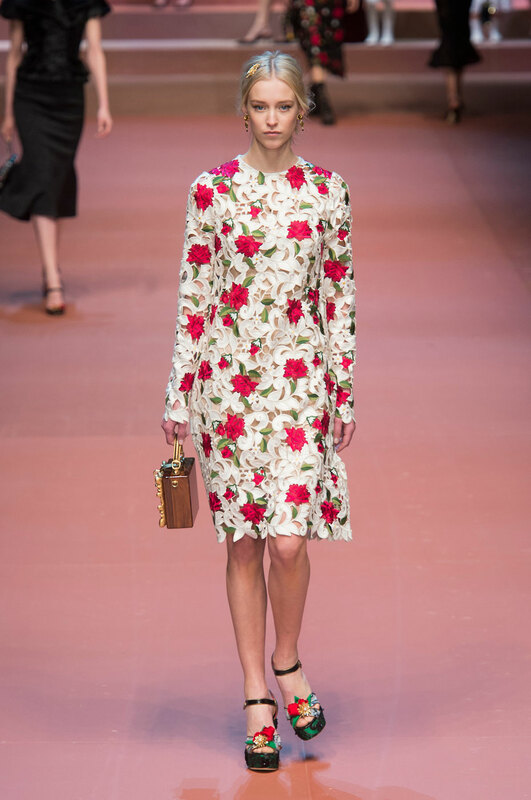 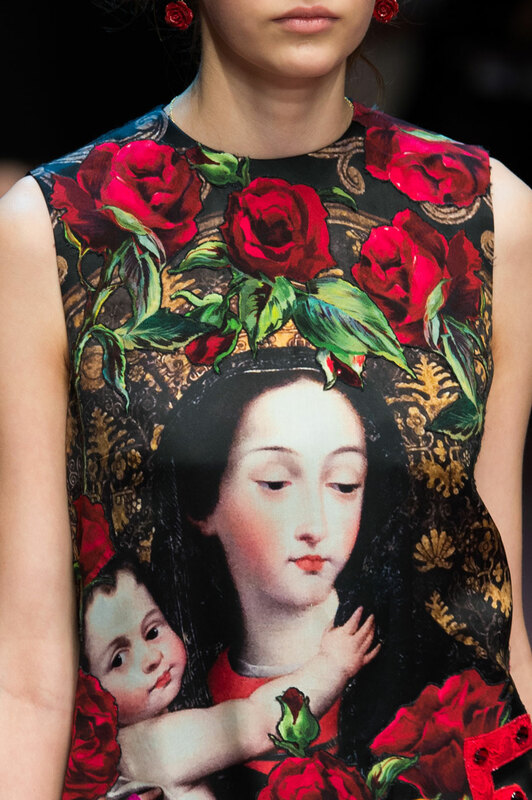 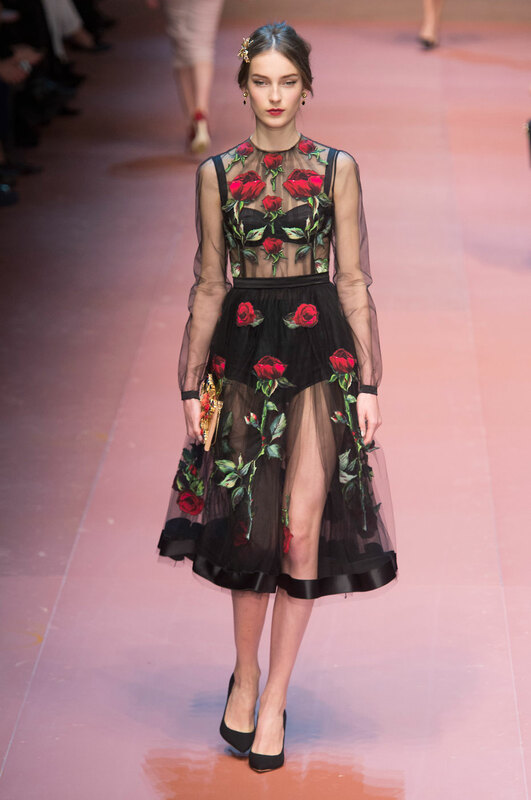 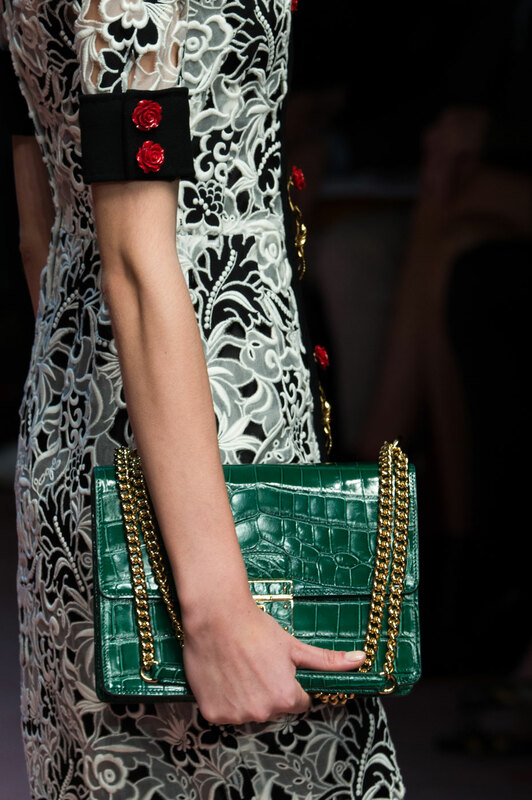 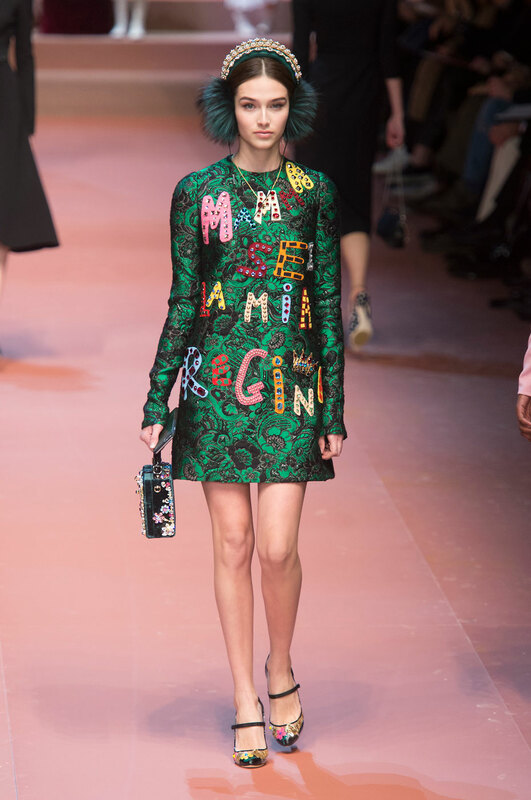 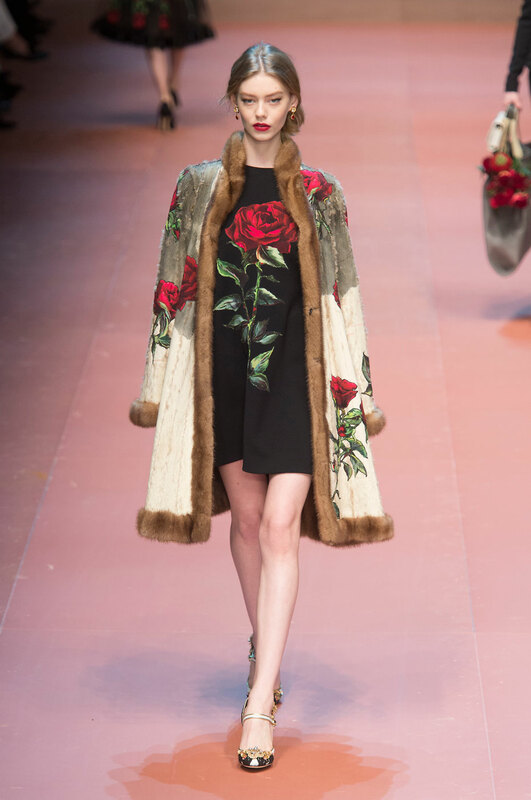 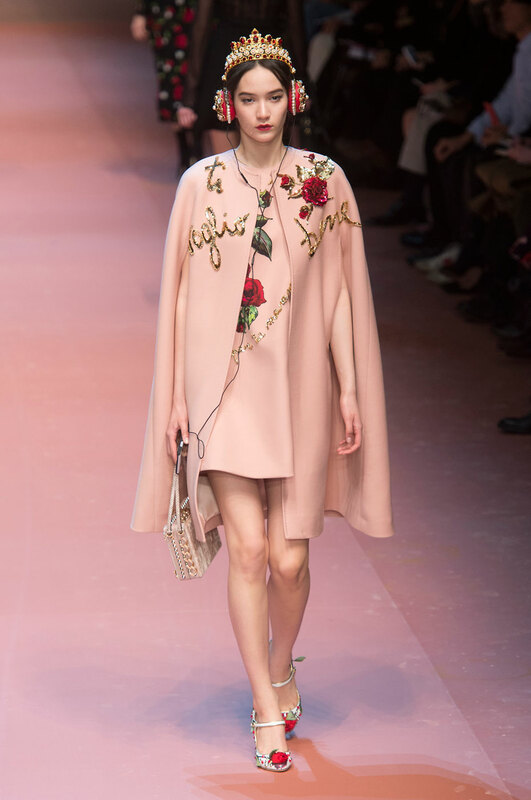 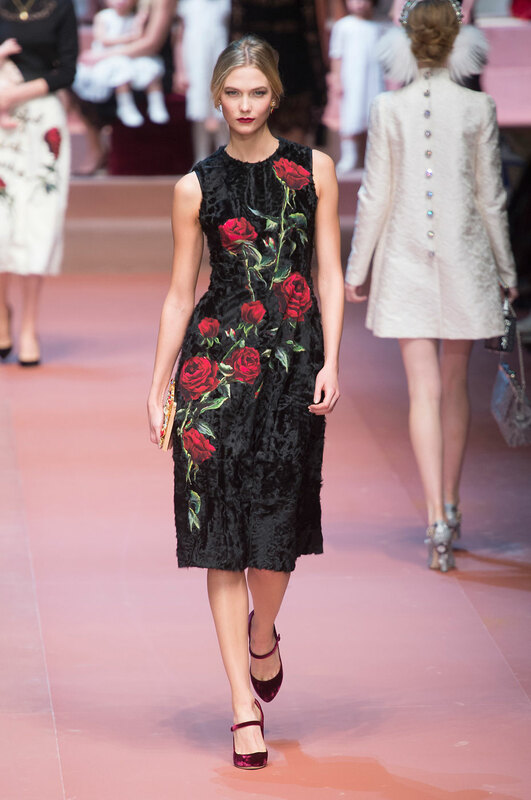 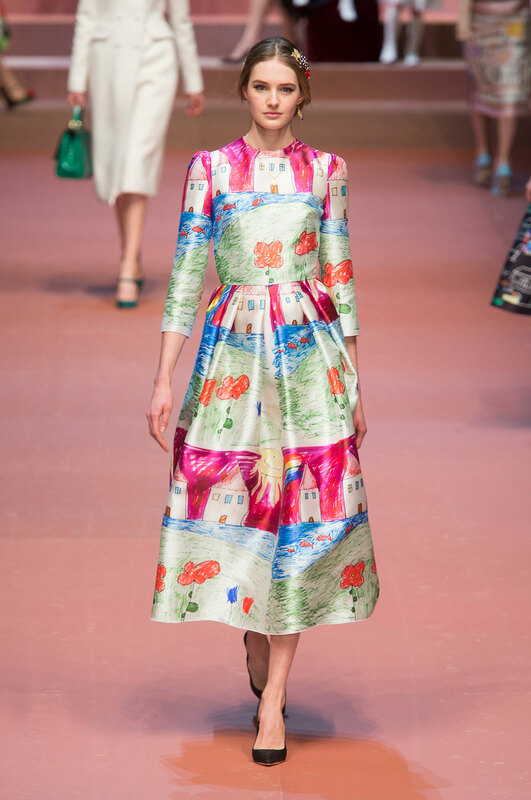 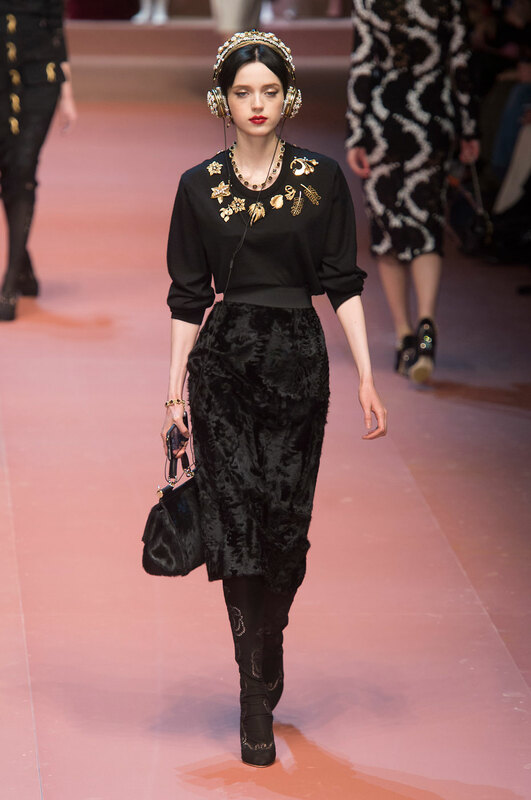 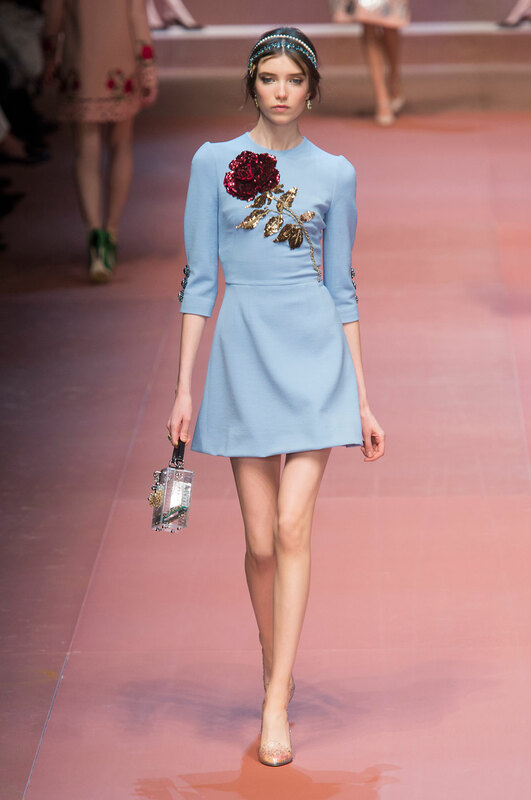 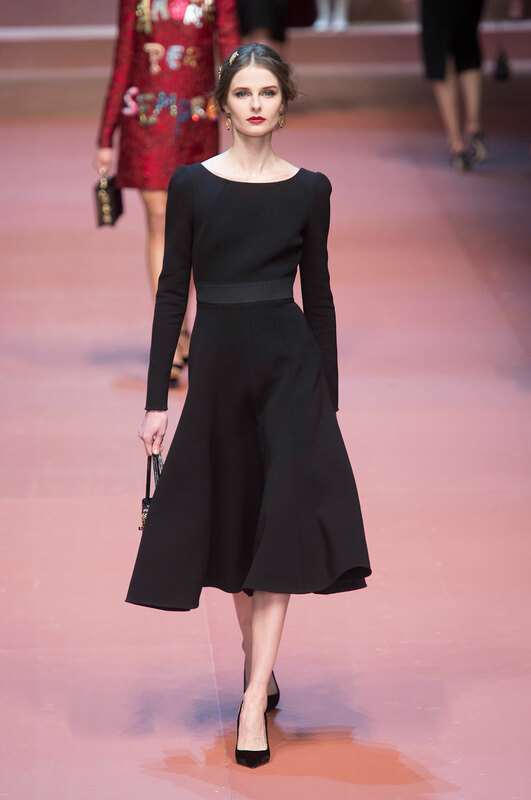 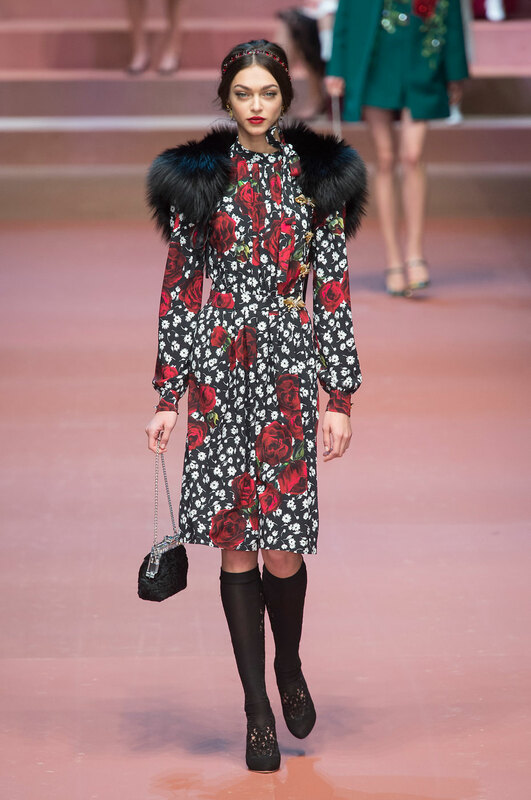 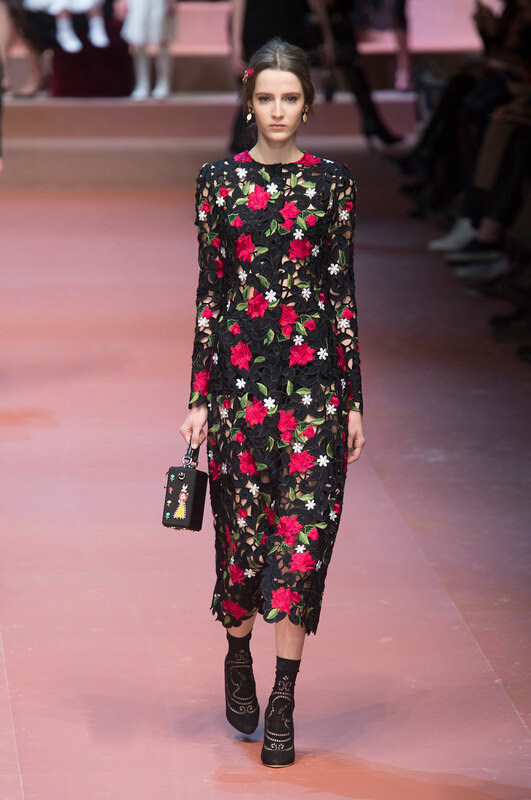 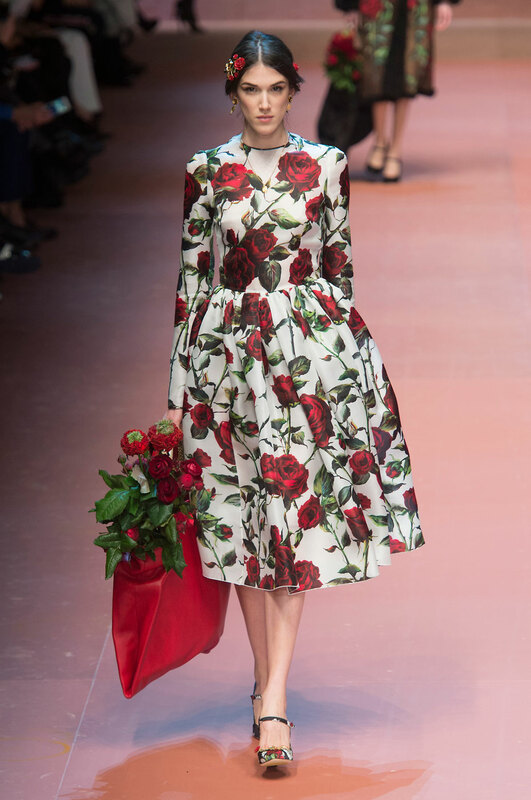 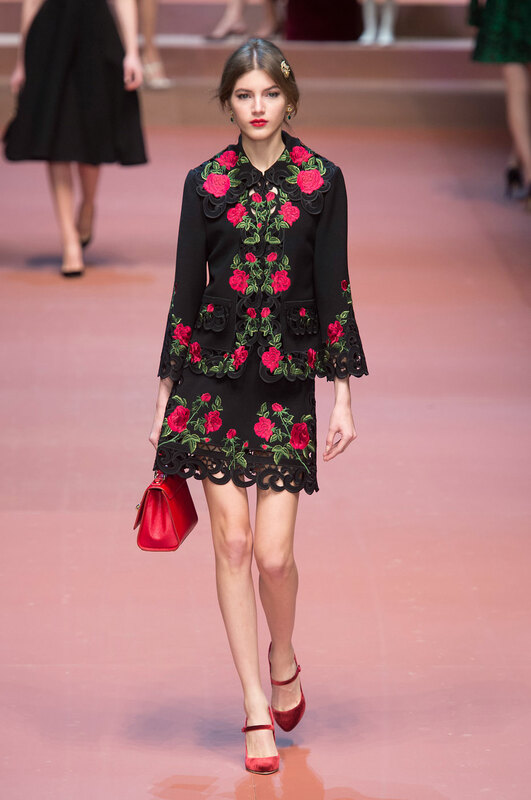 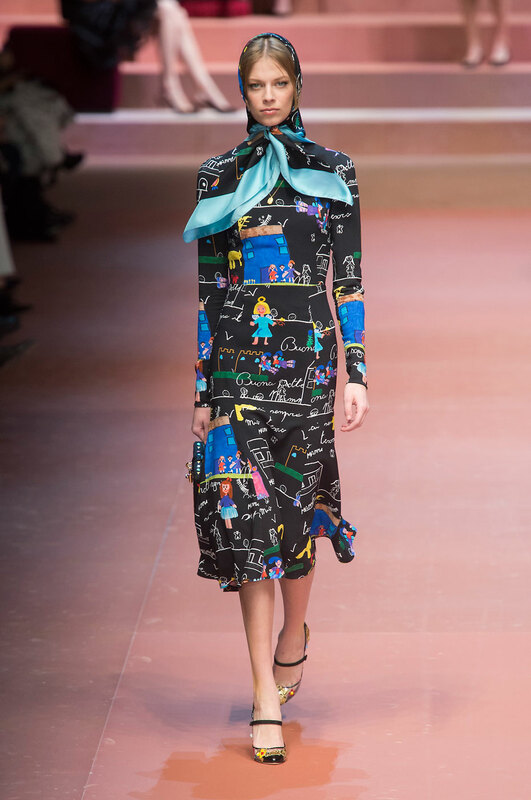 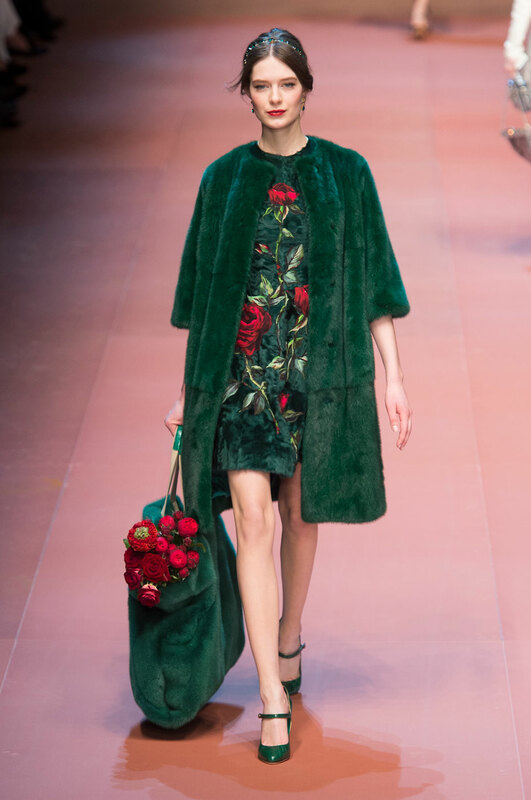 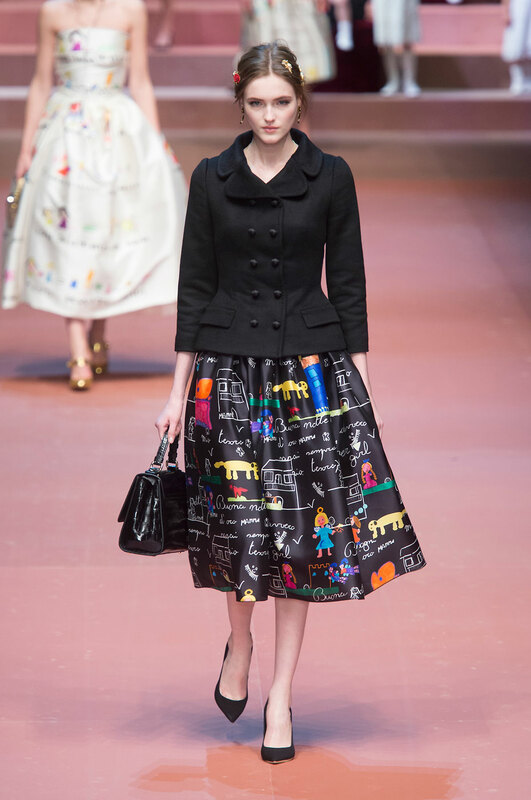 Dolce & Gabbana Women Autumn-Winter 2015 - The collection this season created by none other than Domenico Dolce and Stefano Gabbana was in fact a celebration of motherhood. 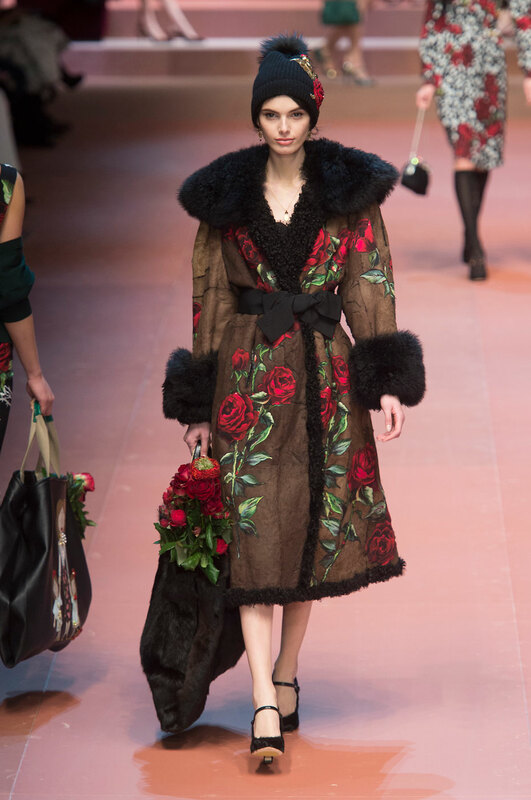 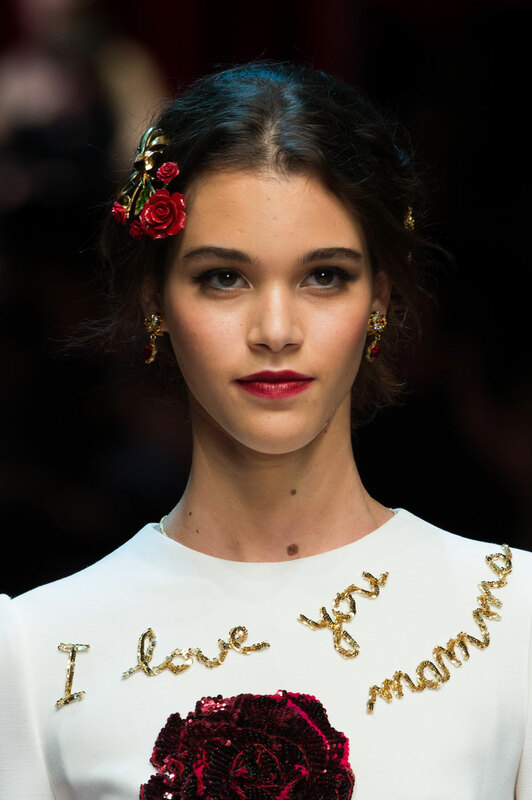 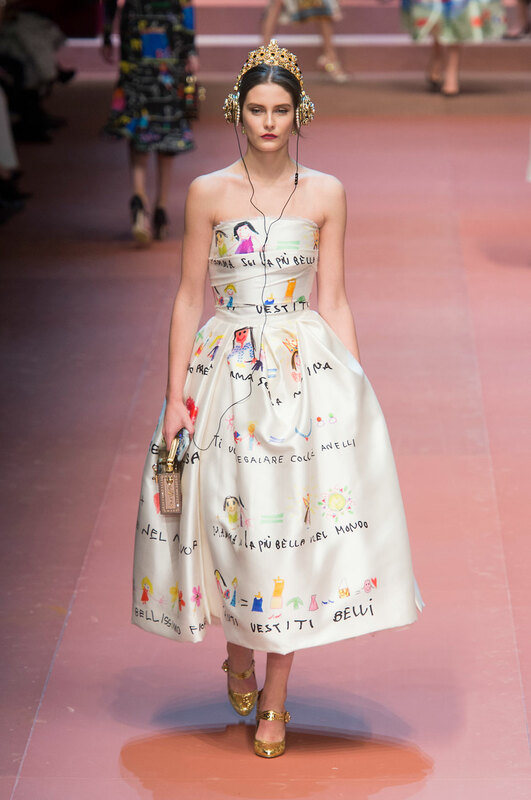 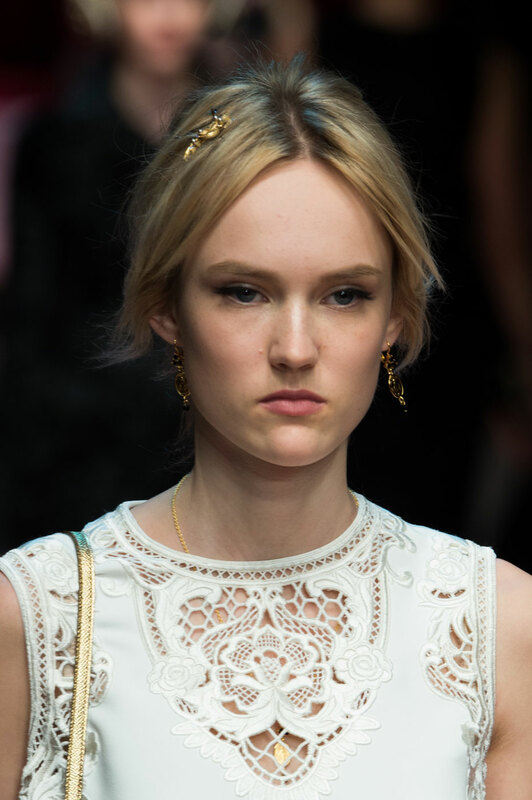 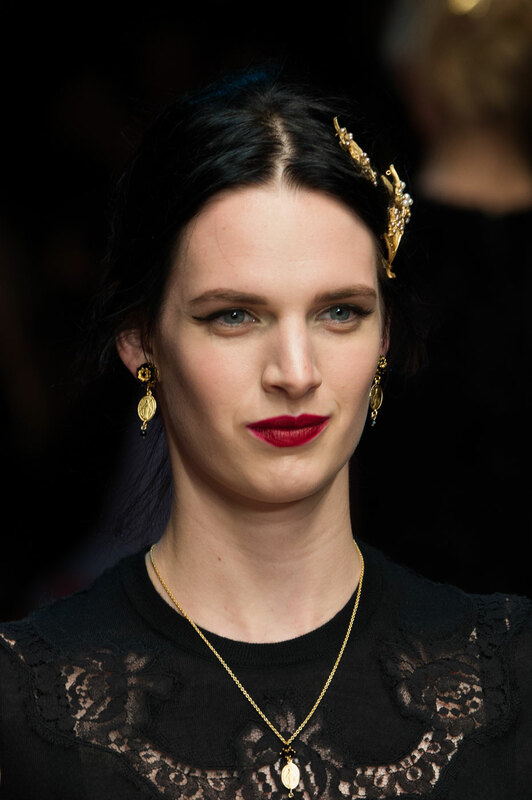 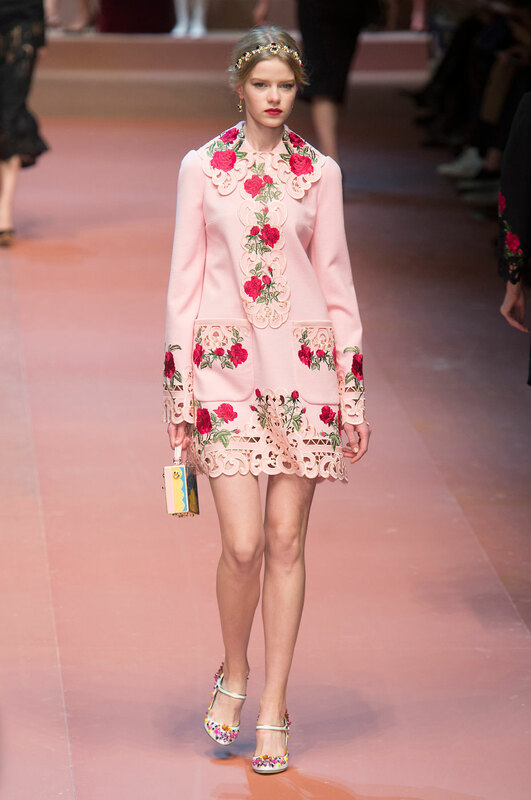 And with the children and a heavily pregnant Bianca Balti present on the catwalk, it was hard to miss the much deeper, powerful message of family significance within Dolce & Gabbana’s designs. 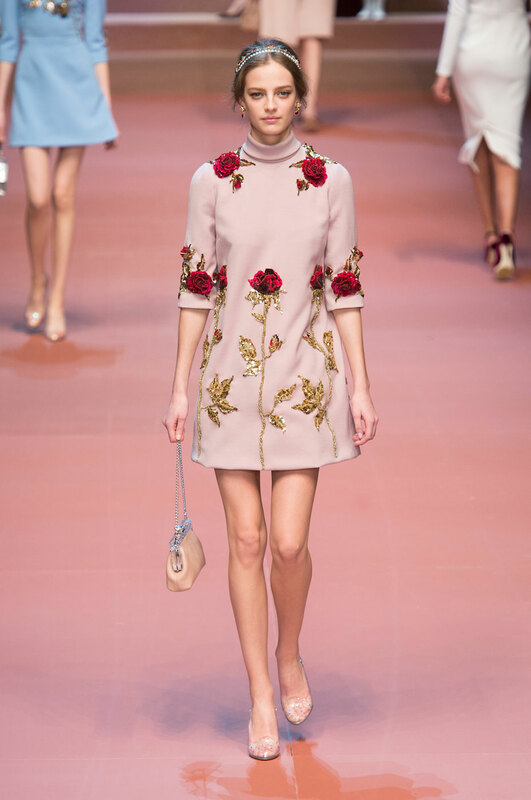 It was definitely an emotional collection, the range of pastel pink and blue tones connecting with the audience. 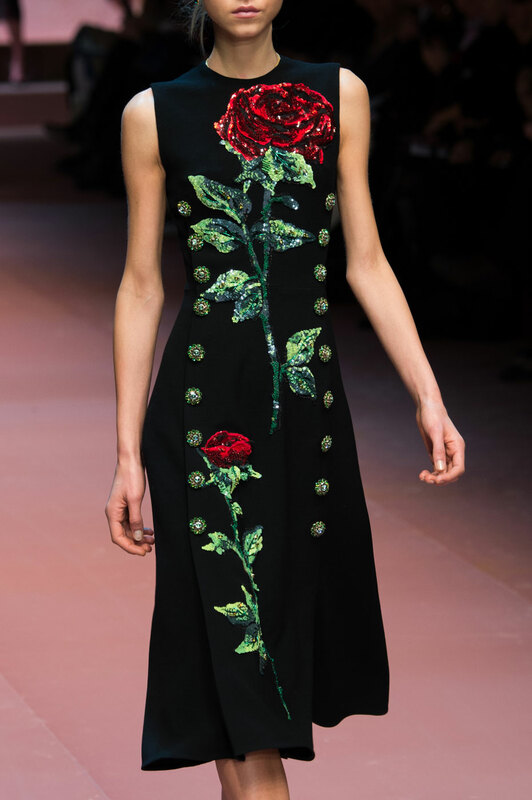 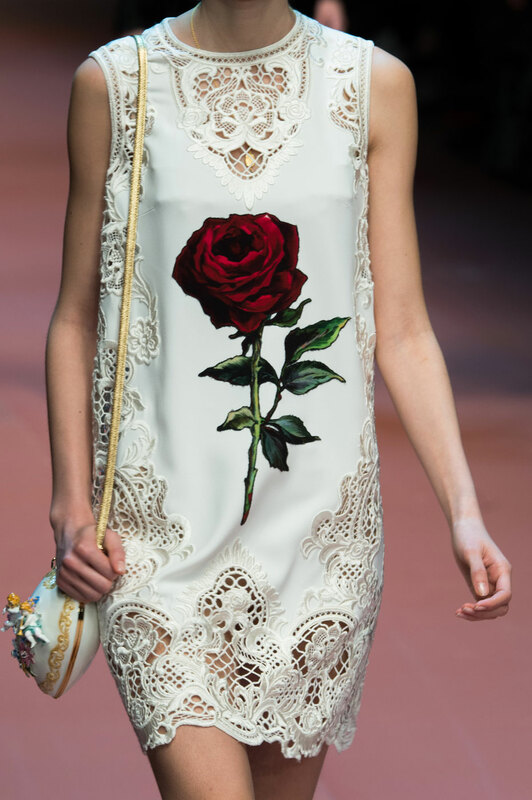 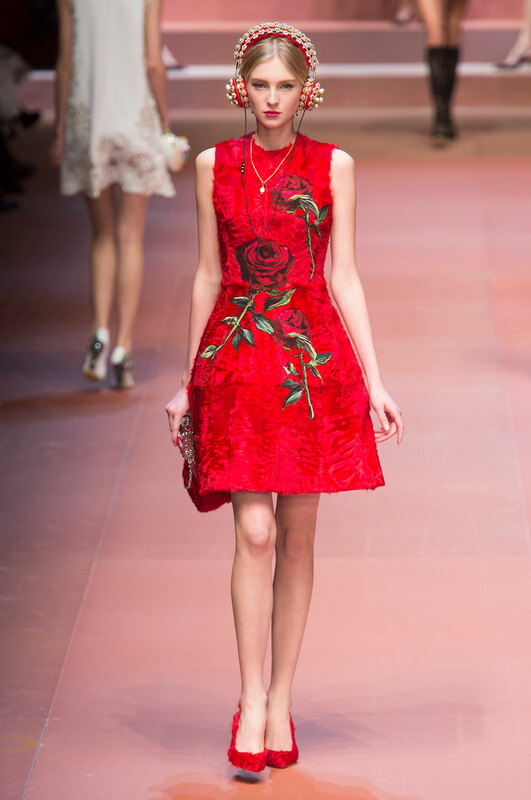 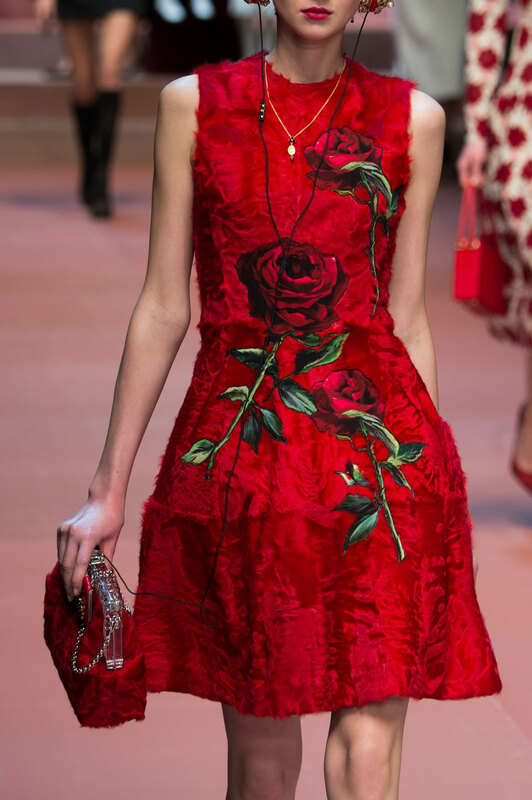 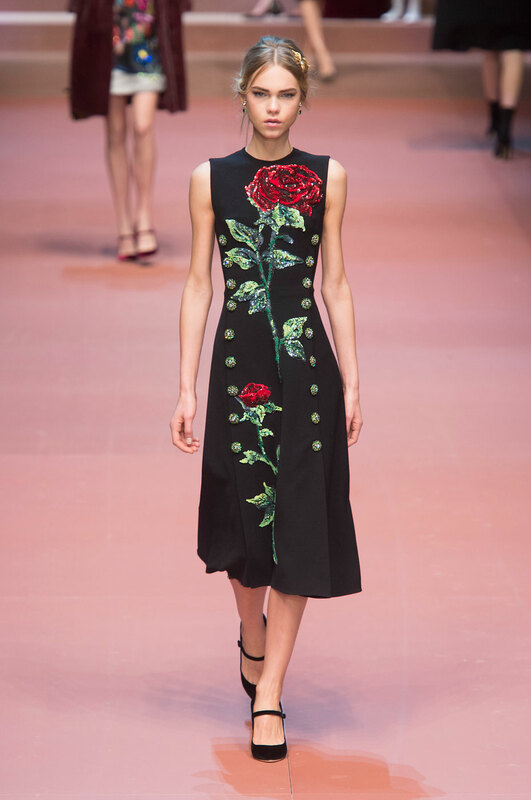 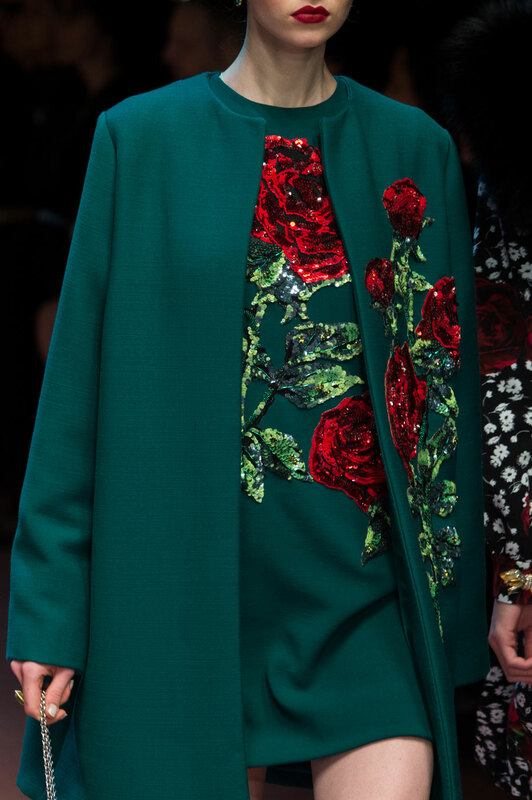 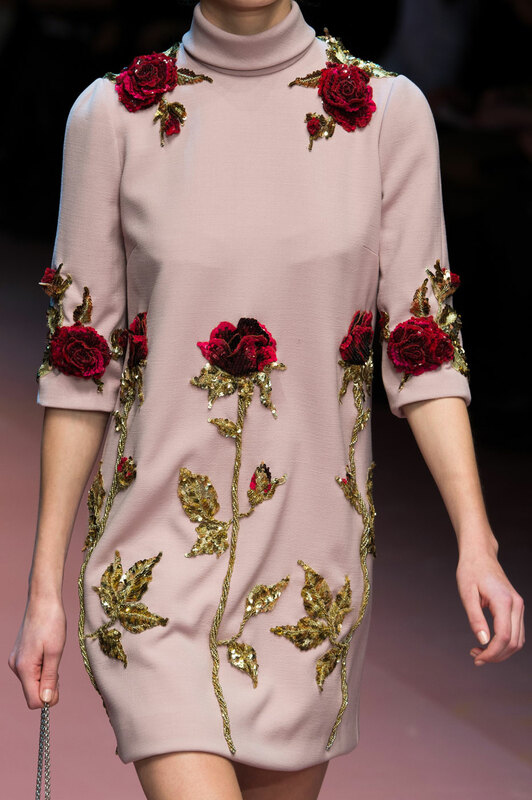 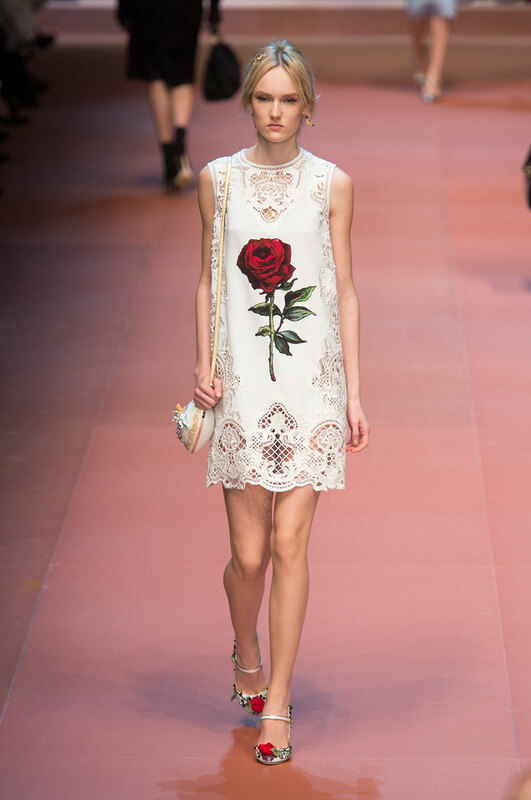 But attention is drawn to the recurring red rose, embroidered on lace, worked into intricate designs and sparkling through gorgeous sequin patterns. 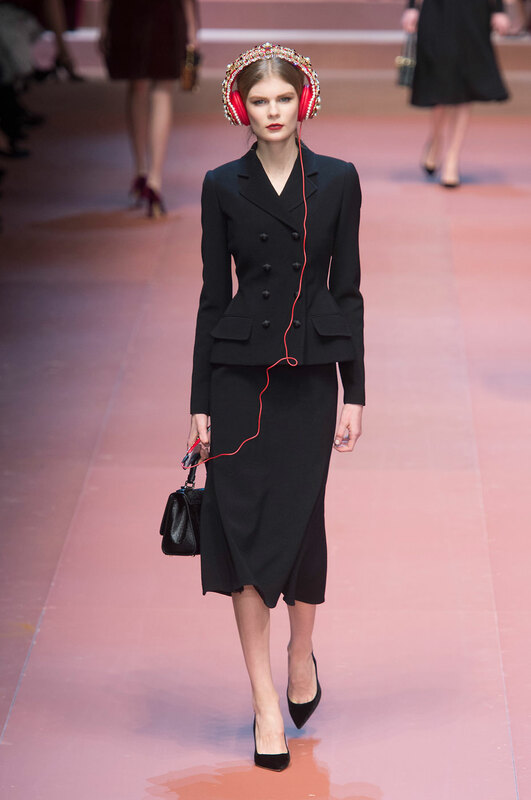 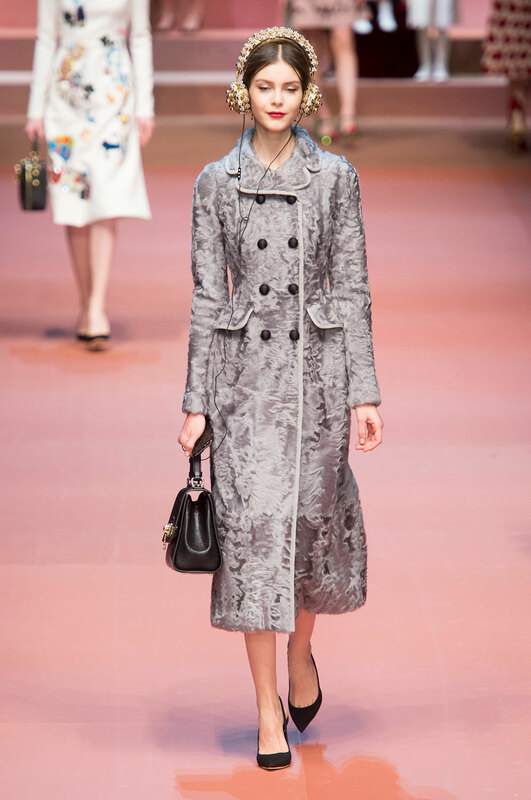 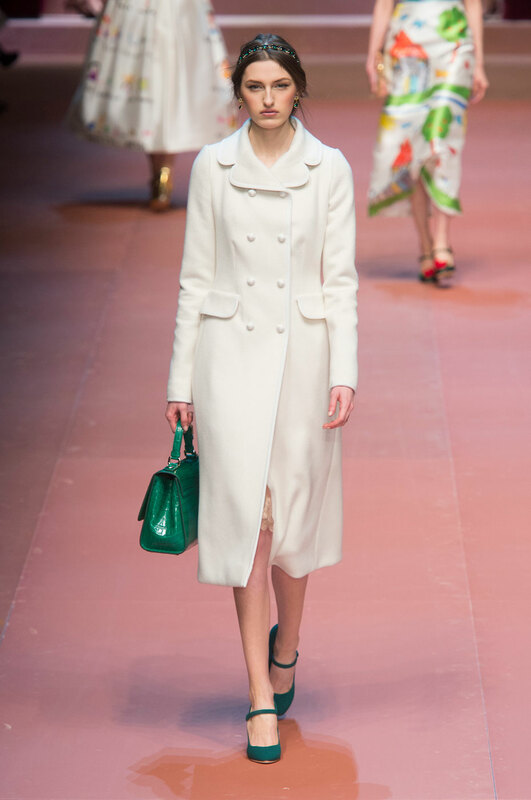 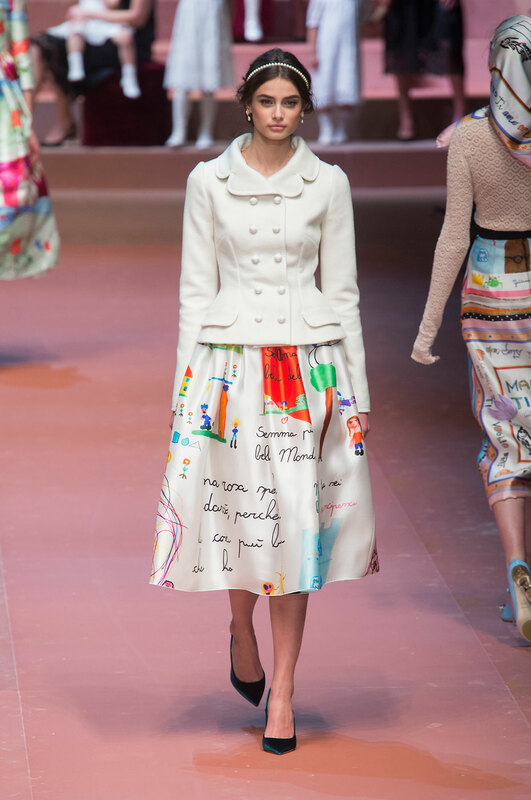 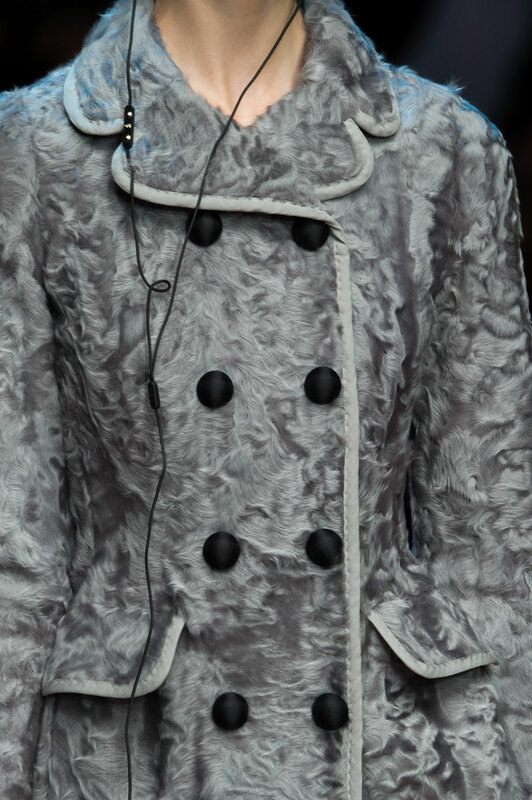 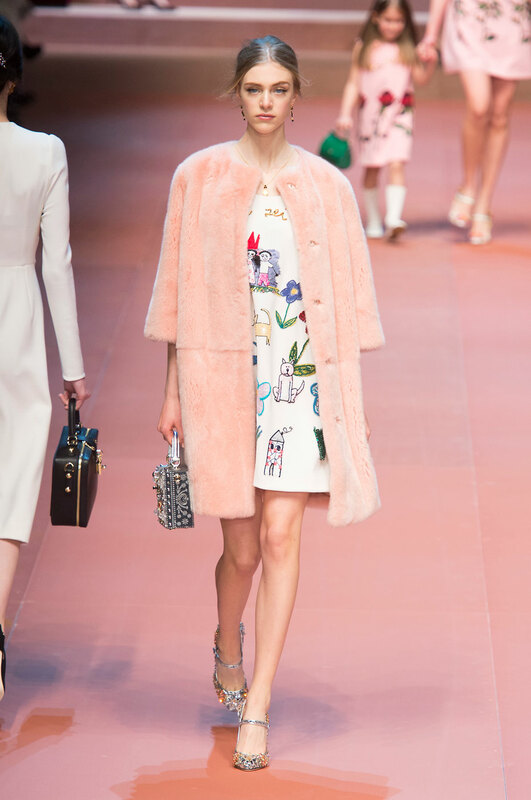 The coats, with 40’s inspired structures, were all beautifully complimented by delicate accessories such as dainty floral embellished shoes and bags. 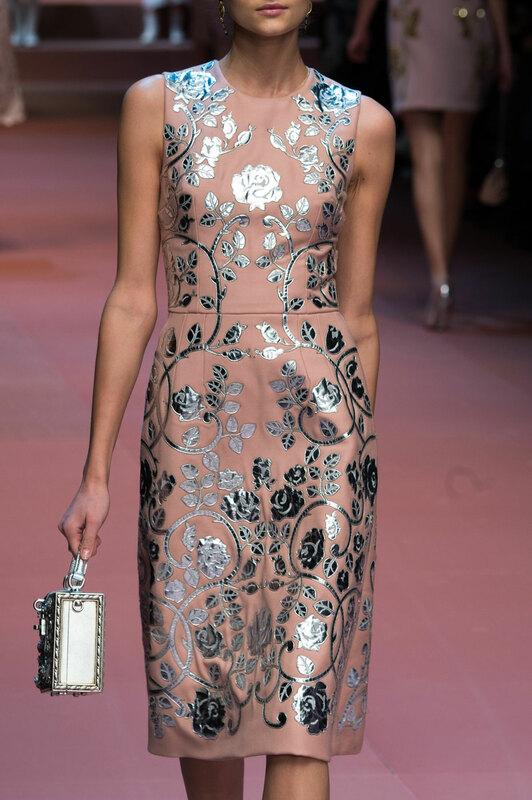 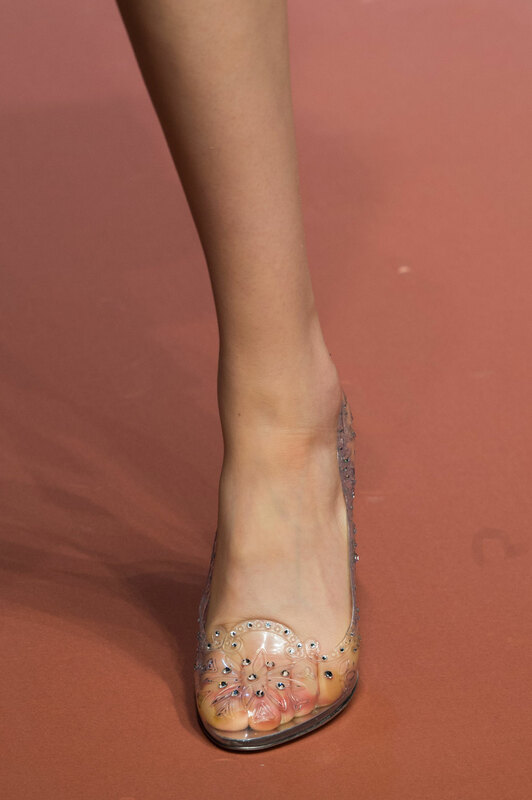 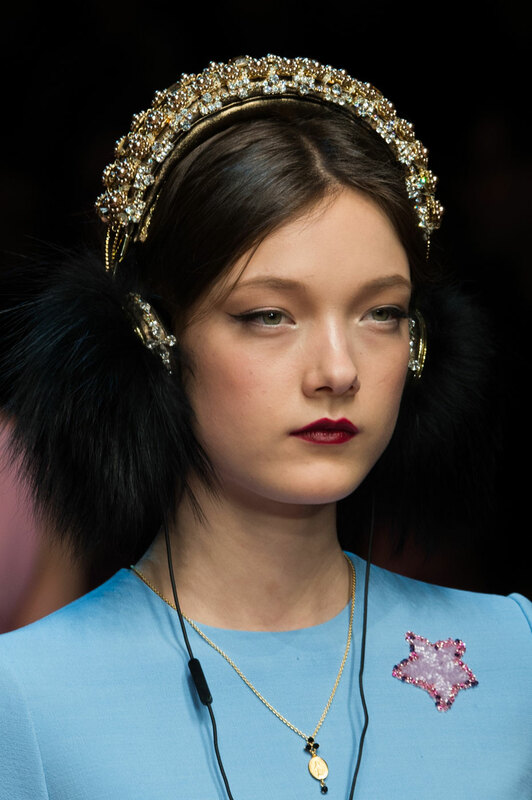 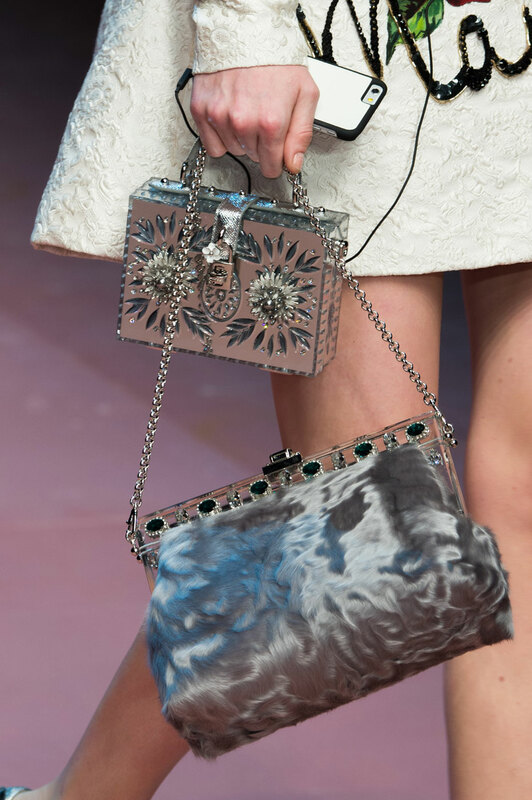 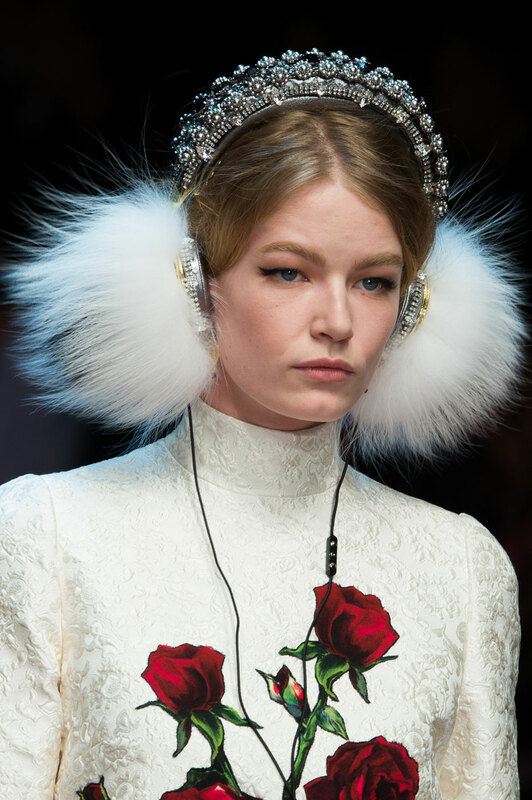 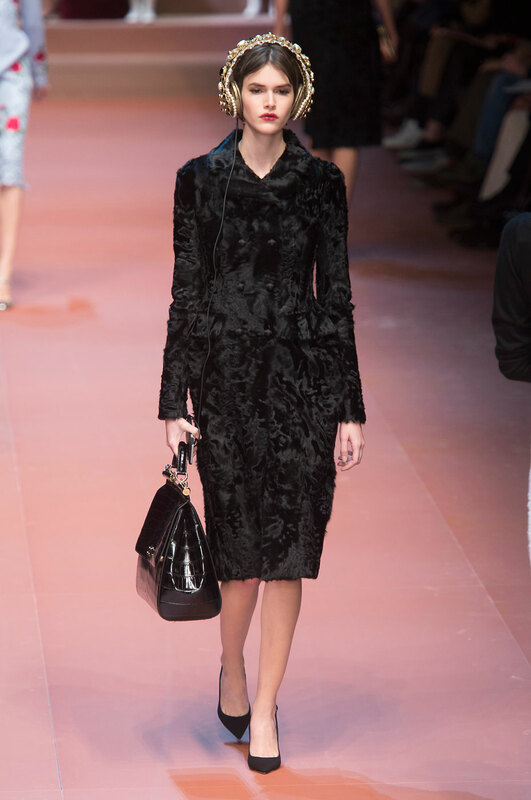 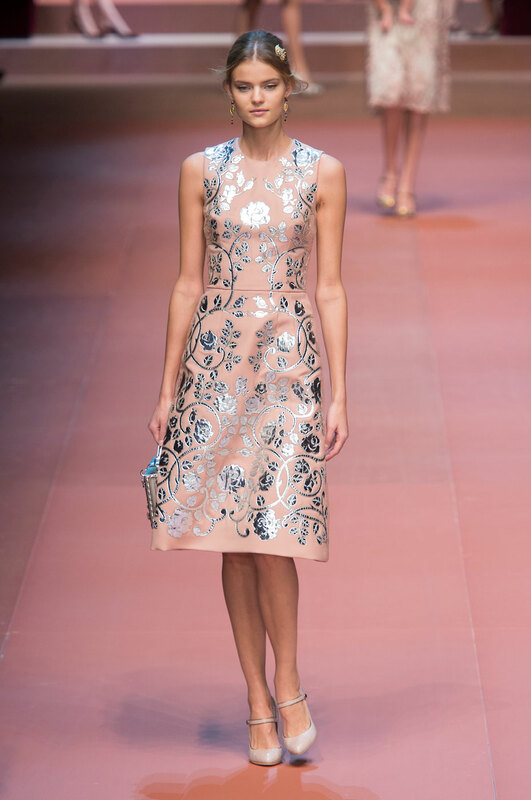 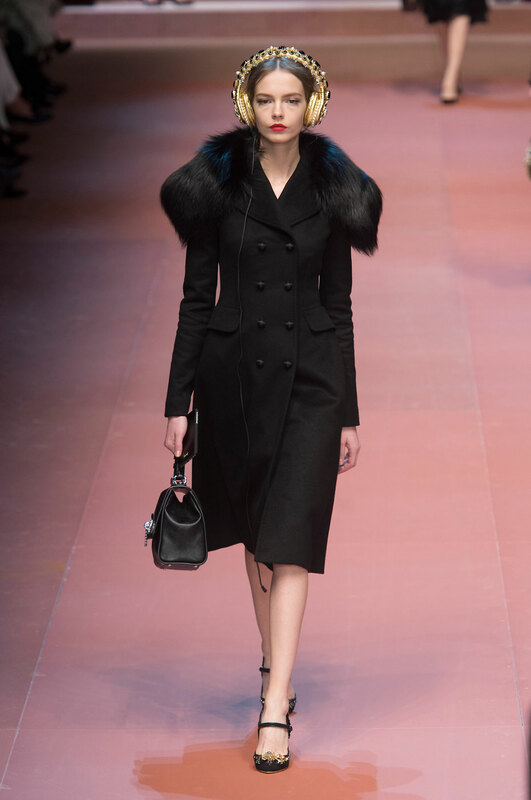 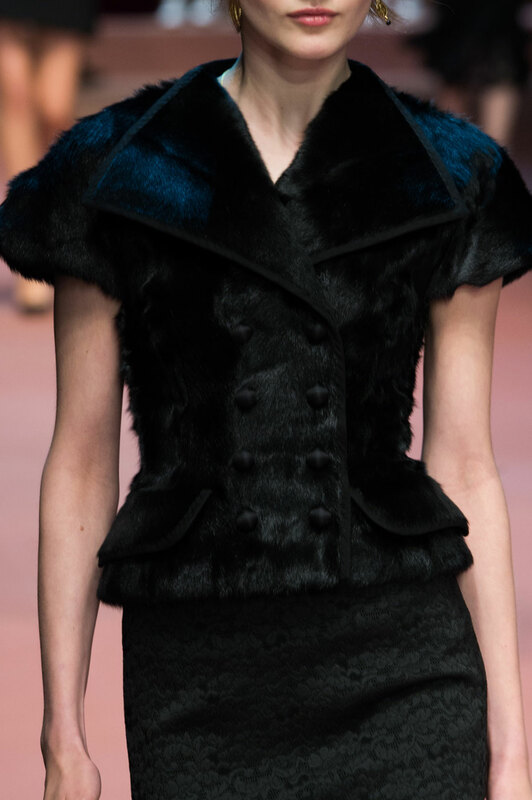 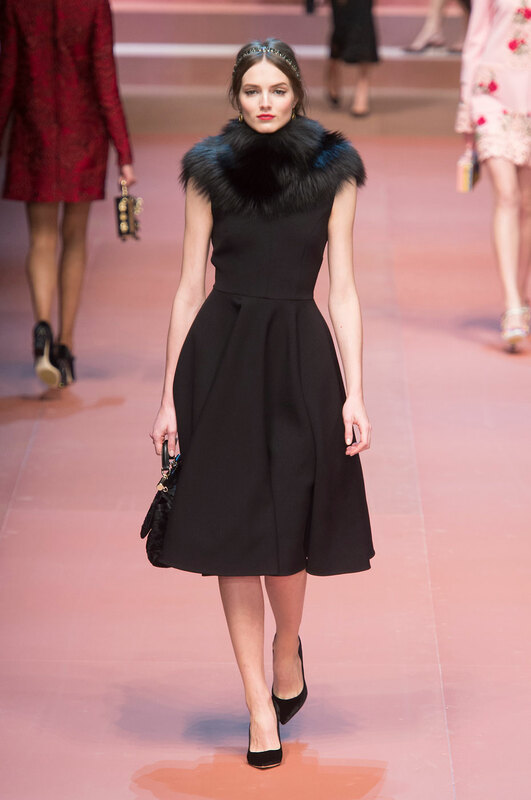 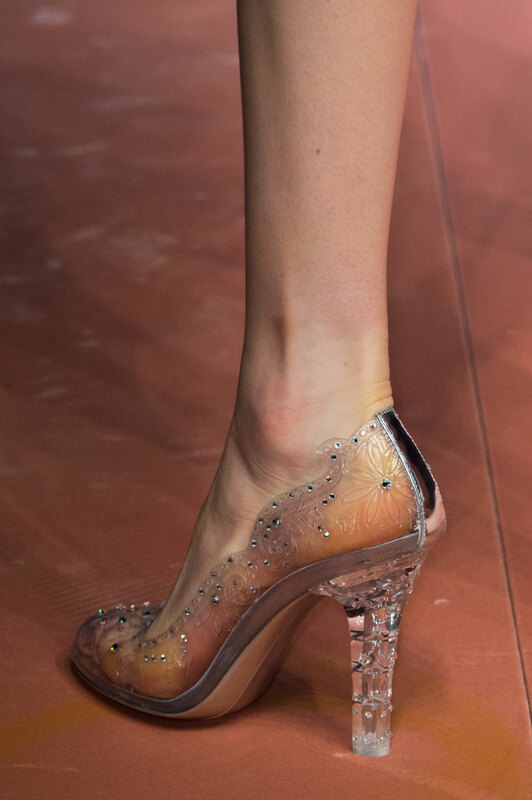 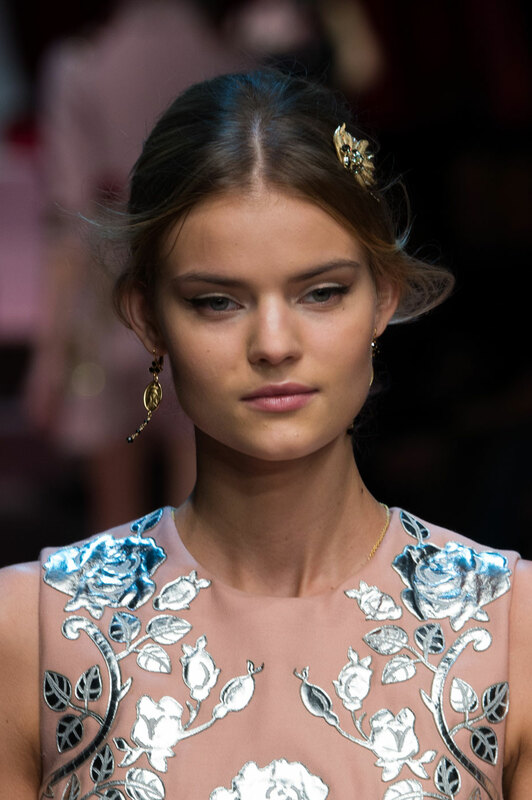 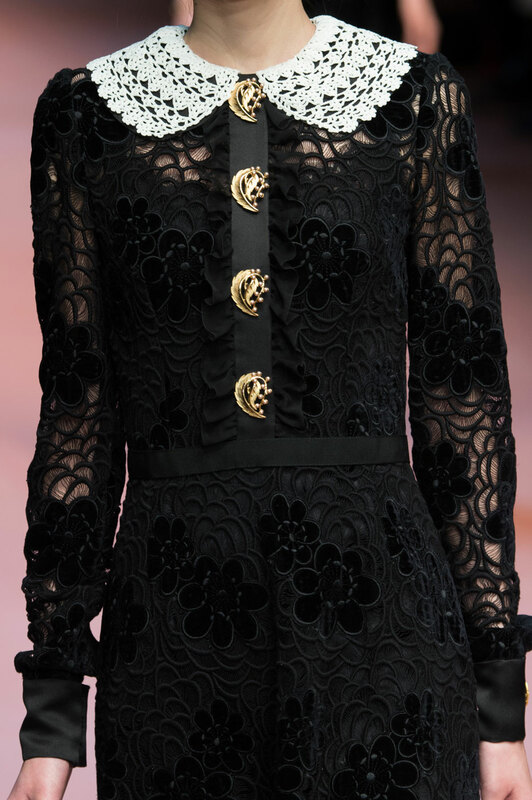 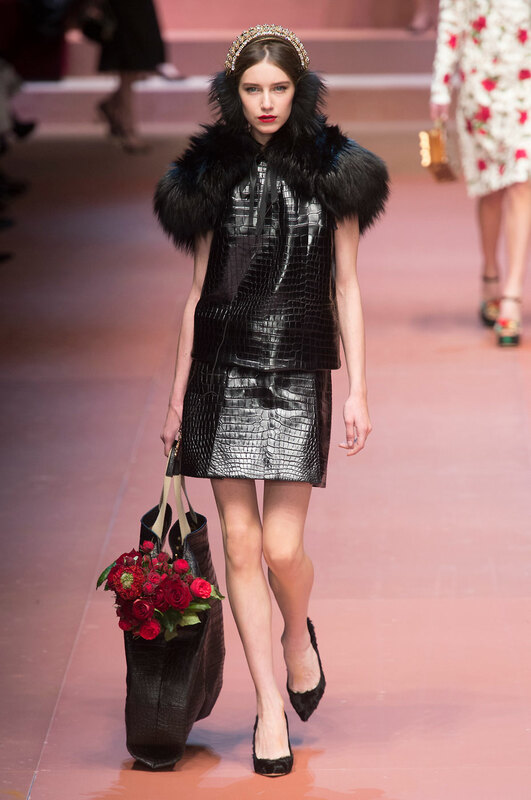 The presence of fur was very subtle, in more muted tones than what we have seen so far this season, adding a touch of elegance and not drawing away focus from the lace detailing Dolce and Gabbana do so very well. 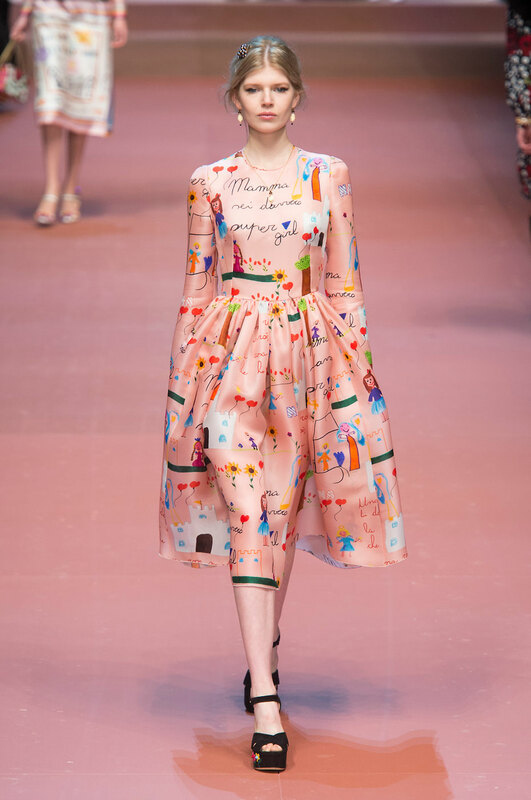 As the rose began to fade in later looks the collections link with motherhood was more apparent, where silky dresses were covered in child-like prints in Crayola coloured designs. 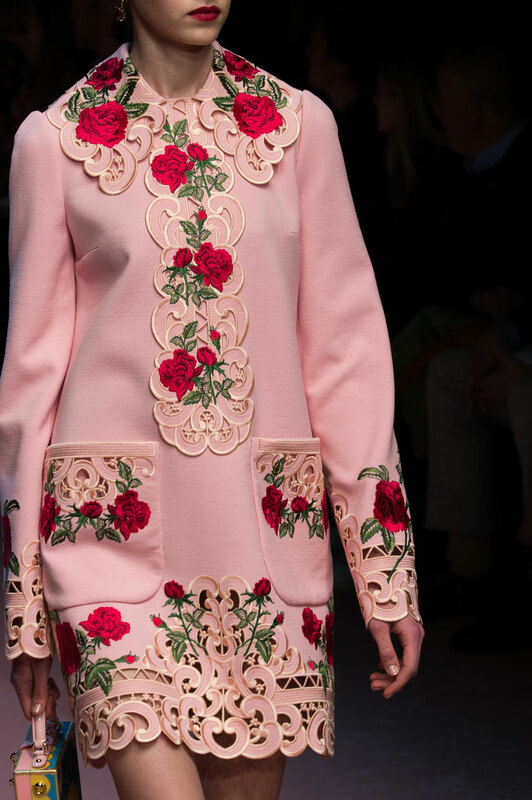 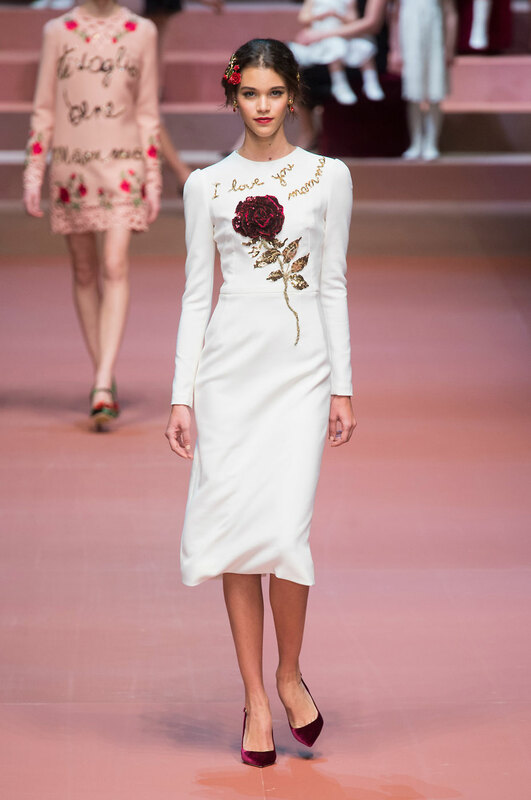 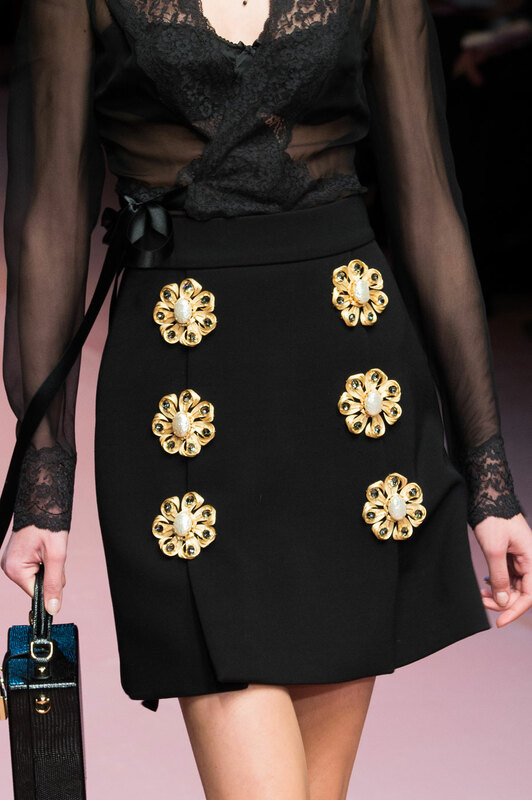 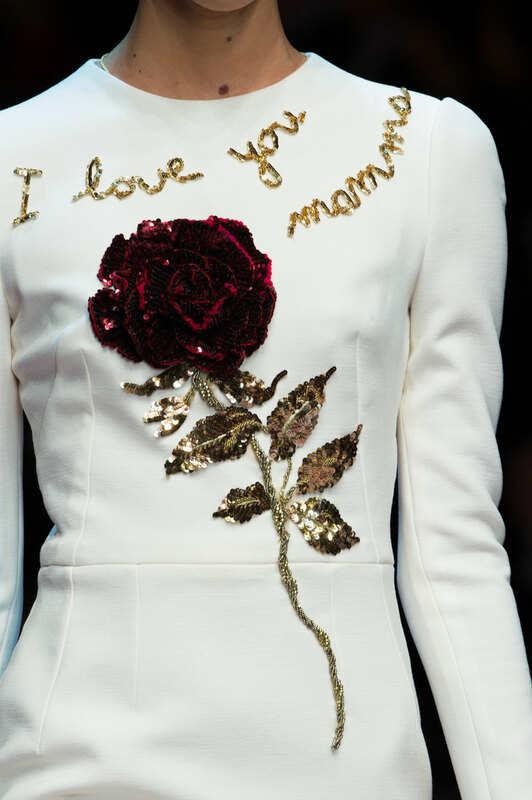 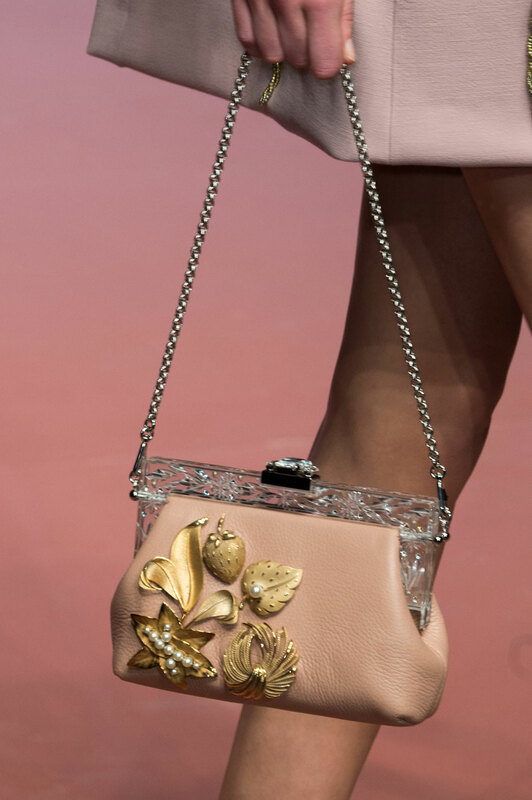 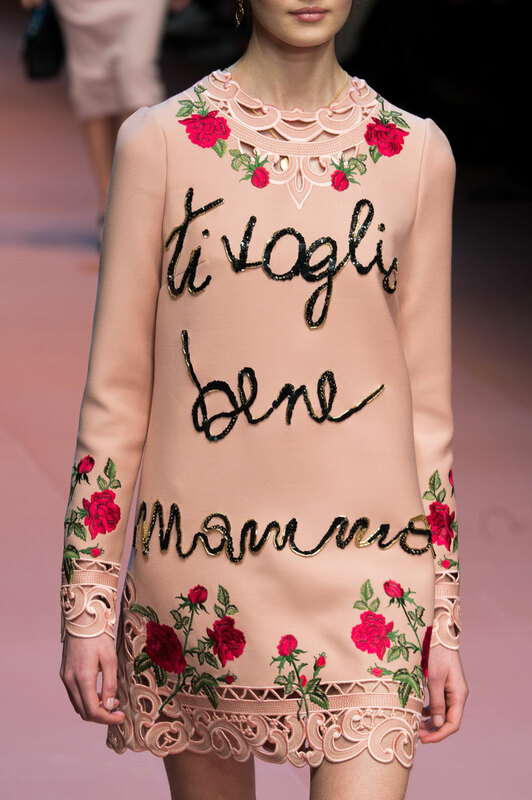 The flourishing collection was so delicate and unforgettable, with the rose and final looks being clearly symbolic of the deeper message expressed by the Italian designers.